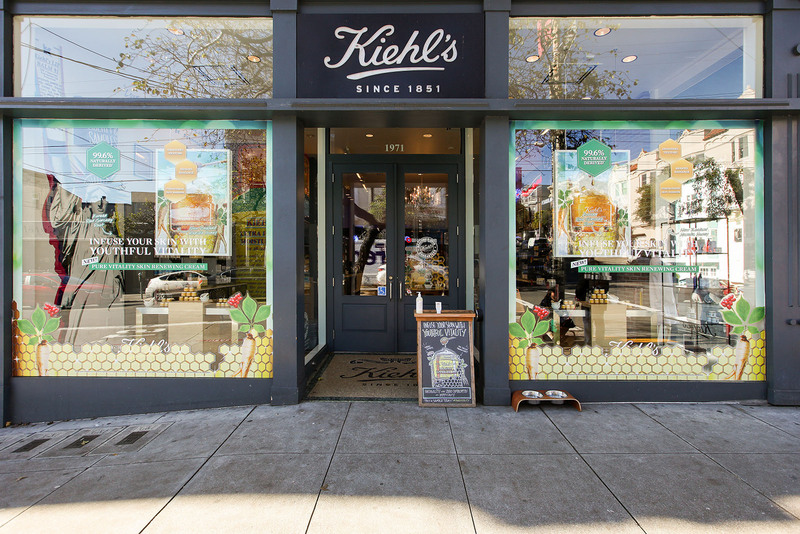 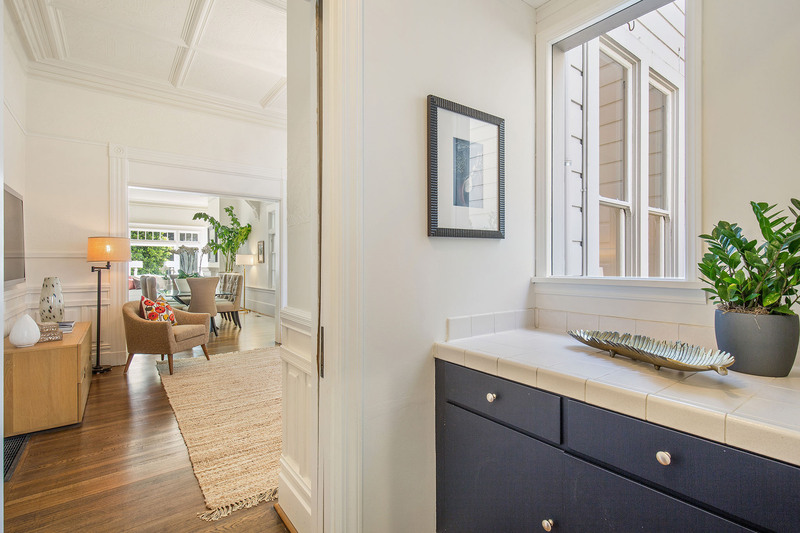 Neighborhood: Pacific Heights is renowned as one of San Francisco’s premier neighborhoods. 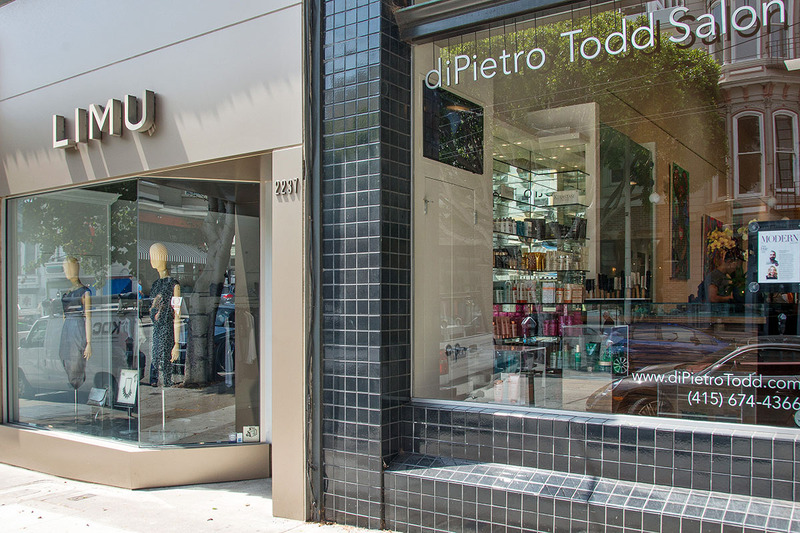 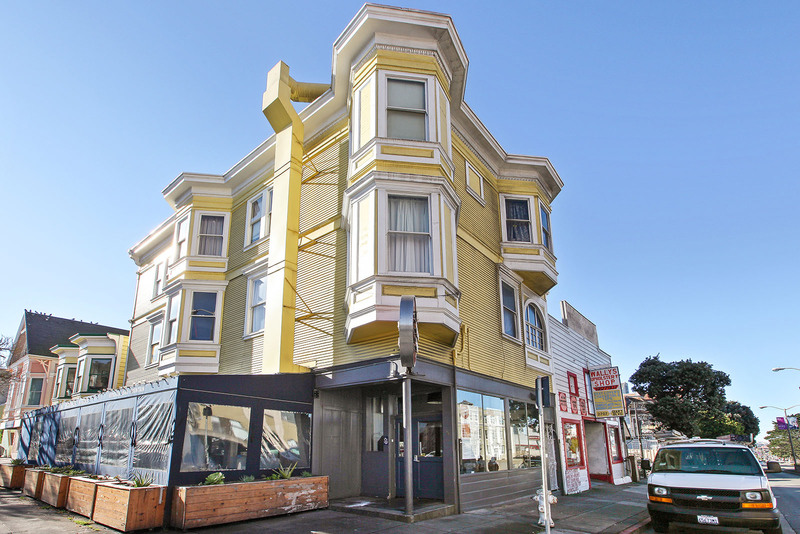 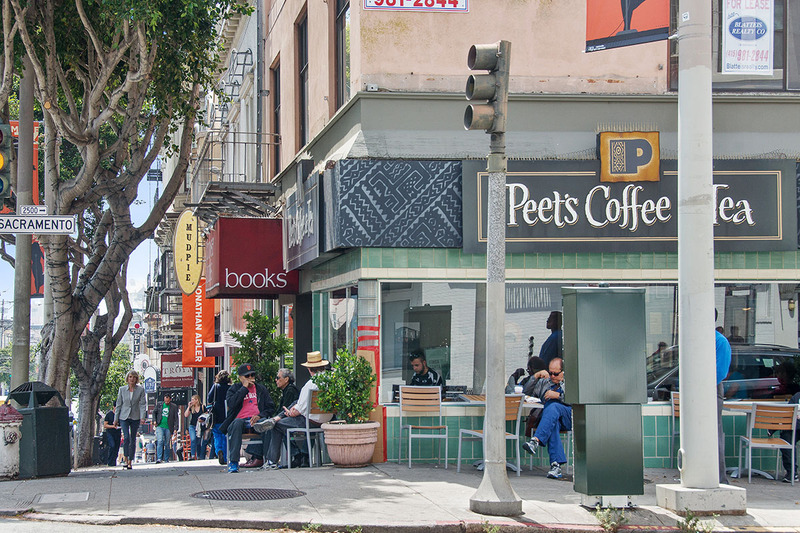 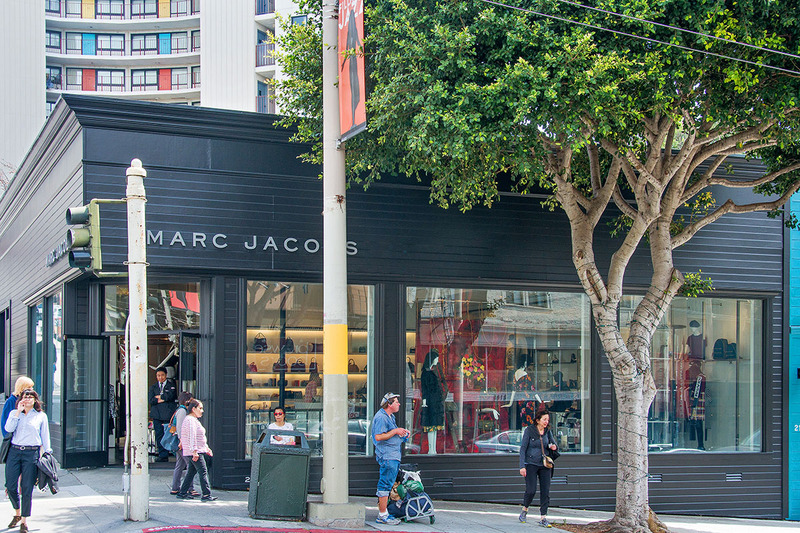 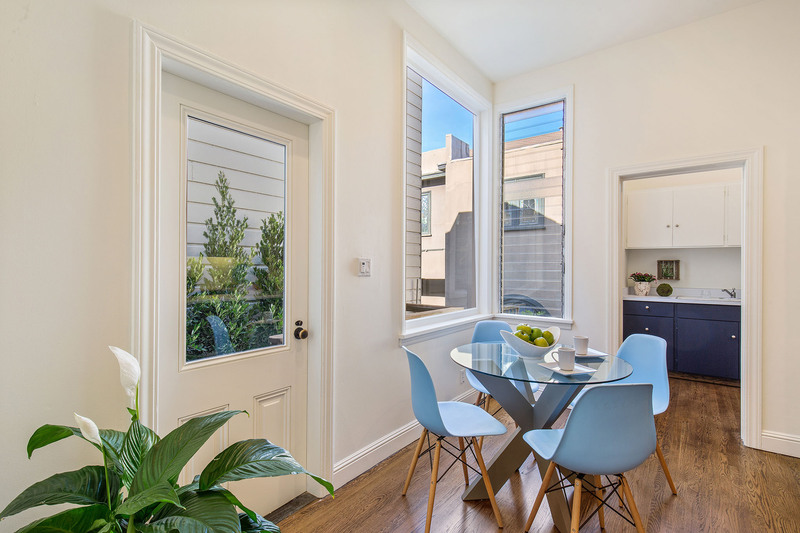 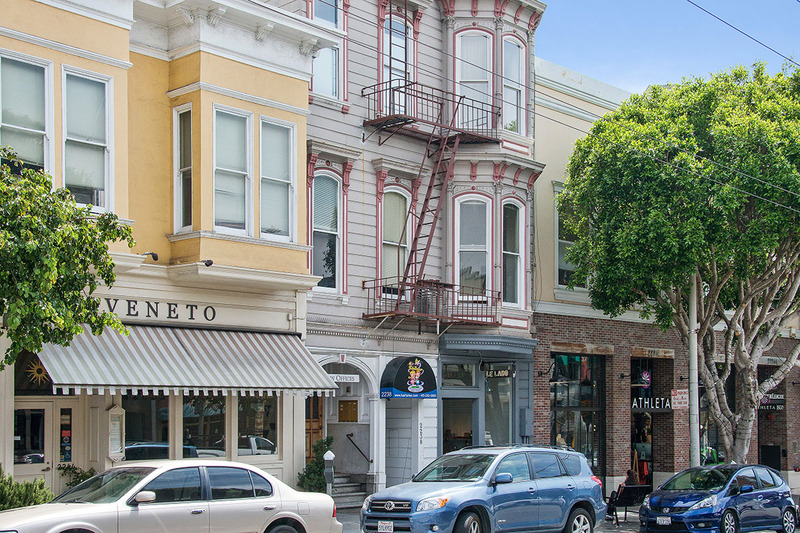 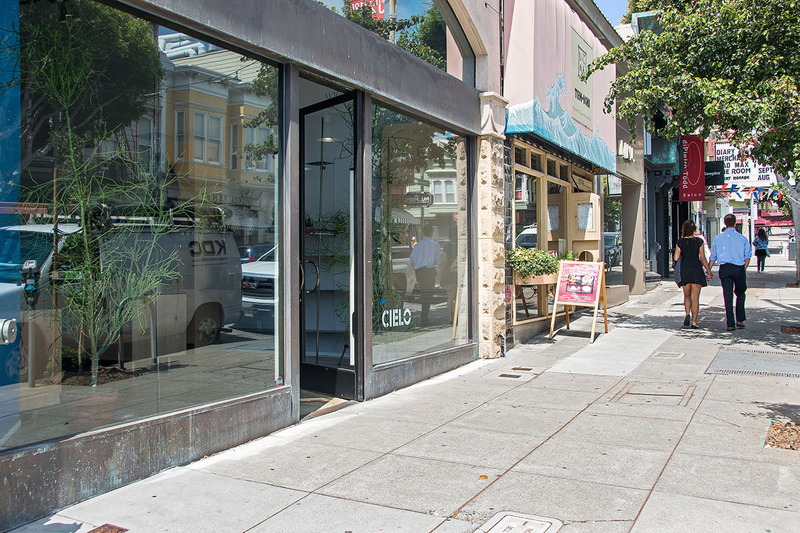 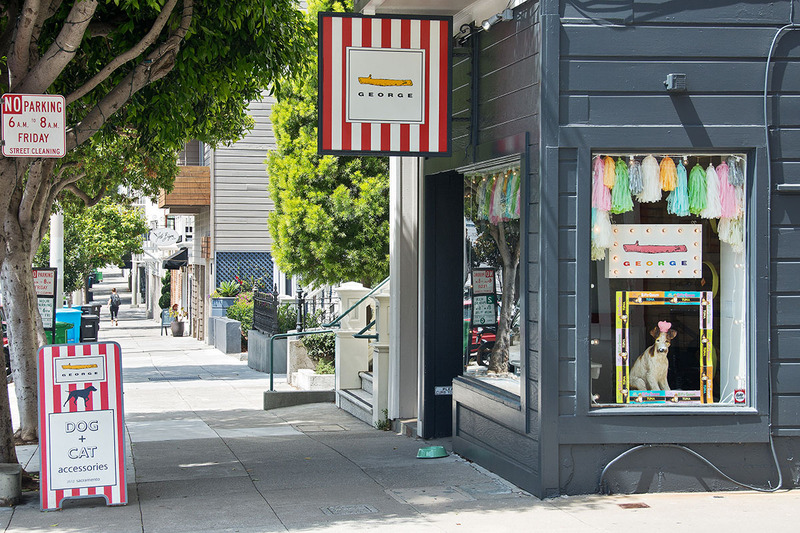 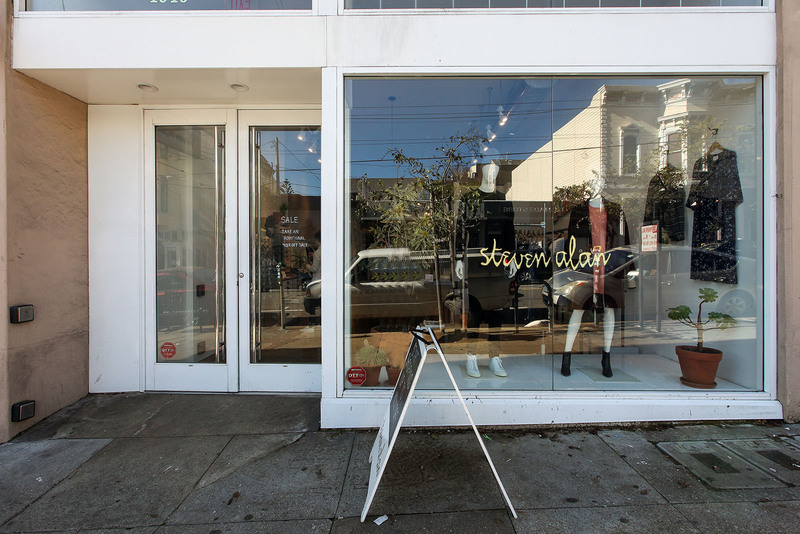 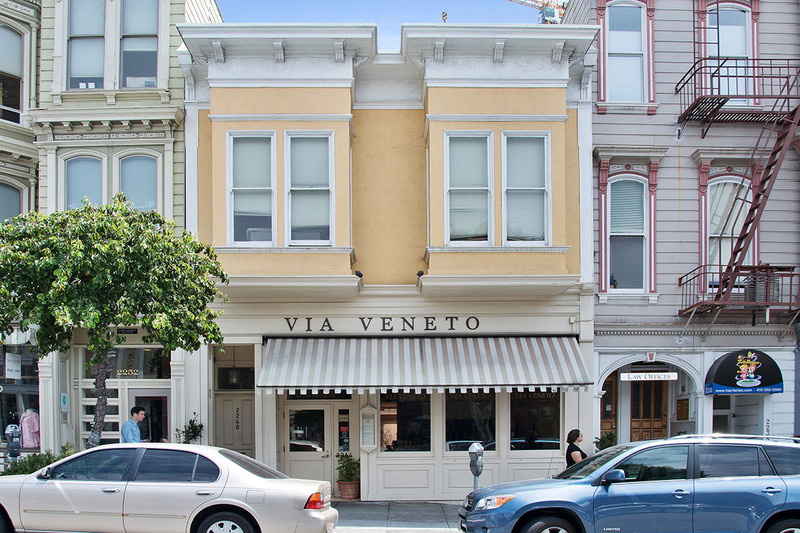 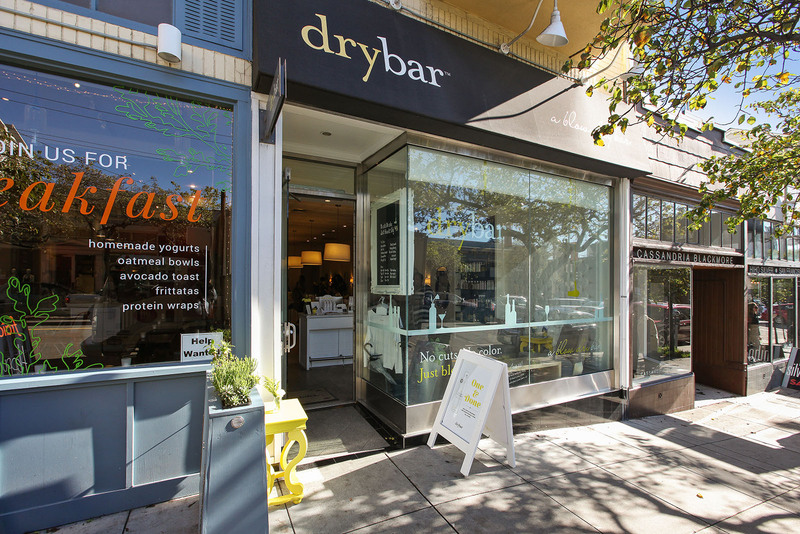 The 2200 block of Clay is perfectly positioned one half block from LaFayette Park and two blocks from the boutiques, restaurants, and cafés on popular Fillmore Street. 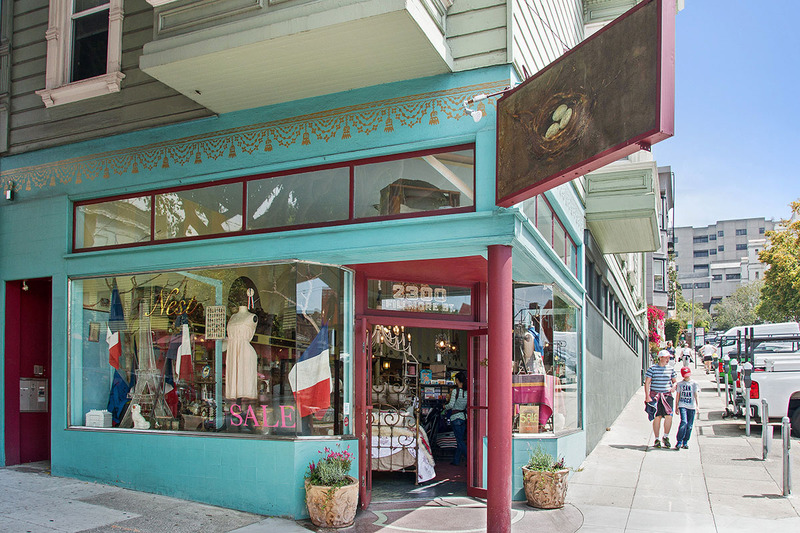 To the north, there is Union Street with its delightful mix of boutiques and restaurants. 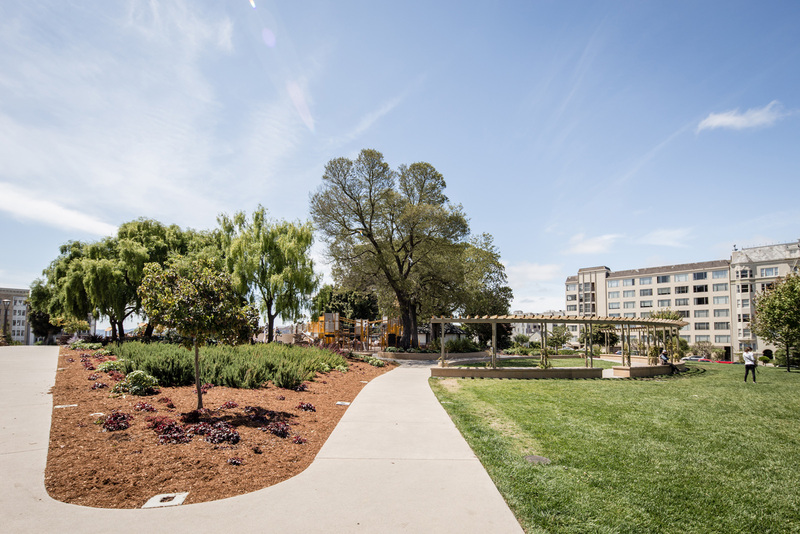 The bucolic 11.49 acre LaFayette Park recently underwent a major renovation complete with tennis courts and a playground. 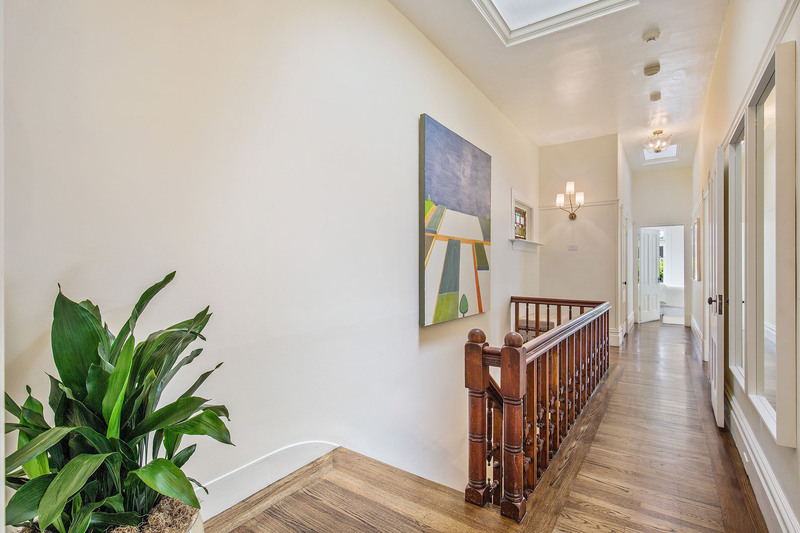 Many of the area’s best private schools are within a mile. Pacific Heights is considered one of the most scenic locations in the world. 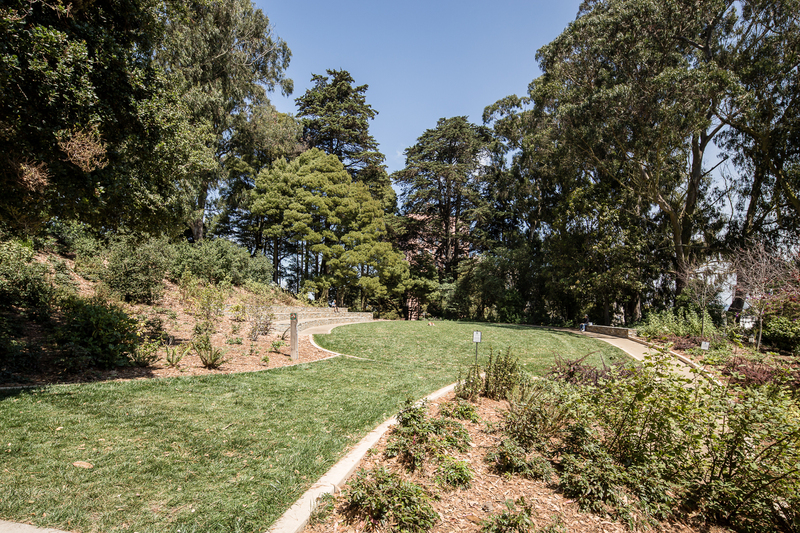 It is bordered to the west by a mature forest of pine, cypress, and eucalyptus trees which the army began planting in the Presidio in the 1880s. 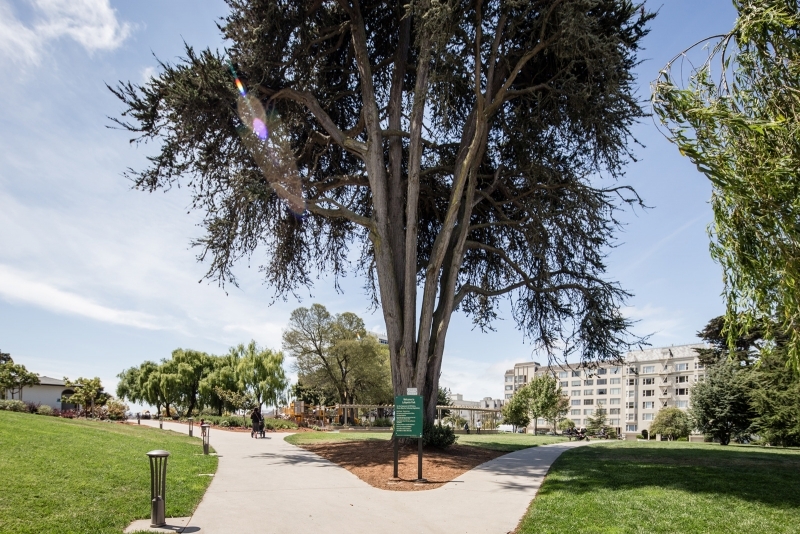 To the north is Crissy Field, originally a rich salt marsh at the bay’s edge and now a wildlife sanctuary. 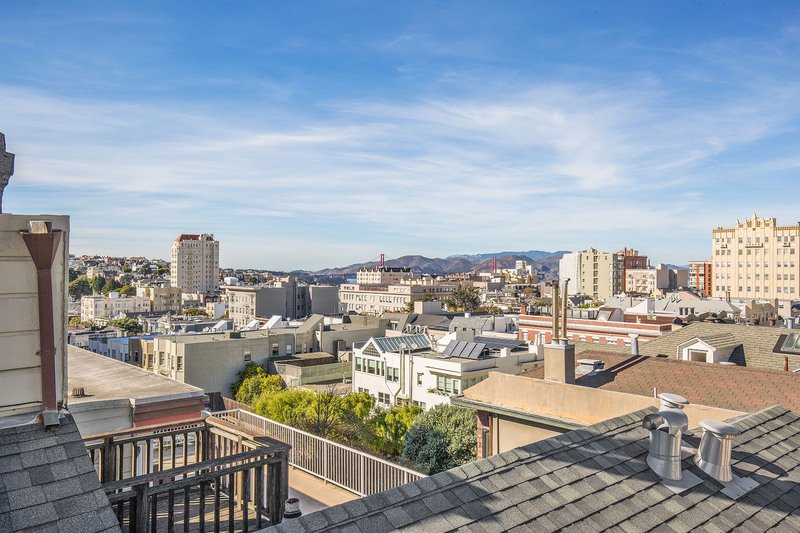 Just beyond is the bay, the Golden Gate Bridge, and Marin Headlands. 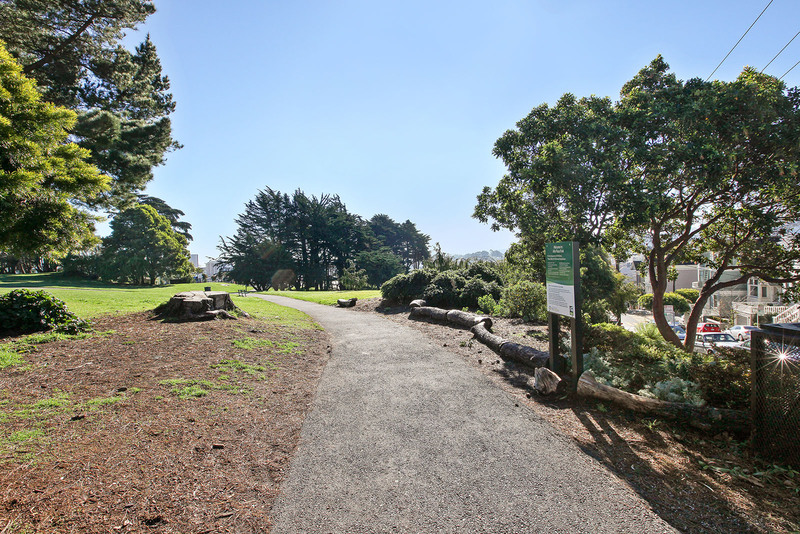 All are protected sites within the Golden Gate National Recreation Area (GGNRA), one of the largest urban national parks in the world and offering a myriad of recreational possibilities from golf and tennis to cycling and swimming. 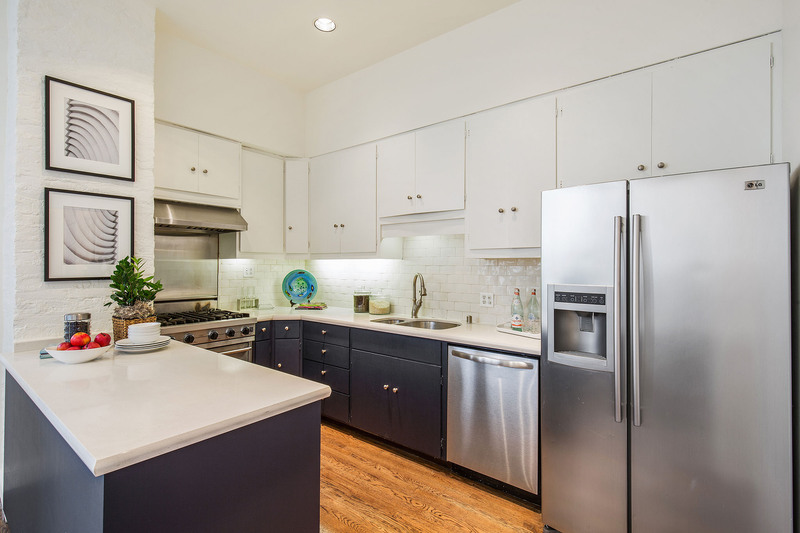 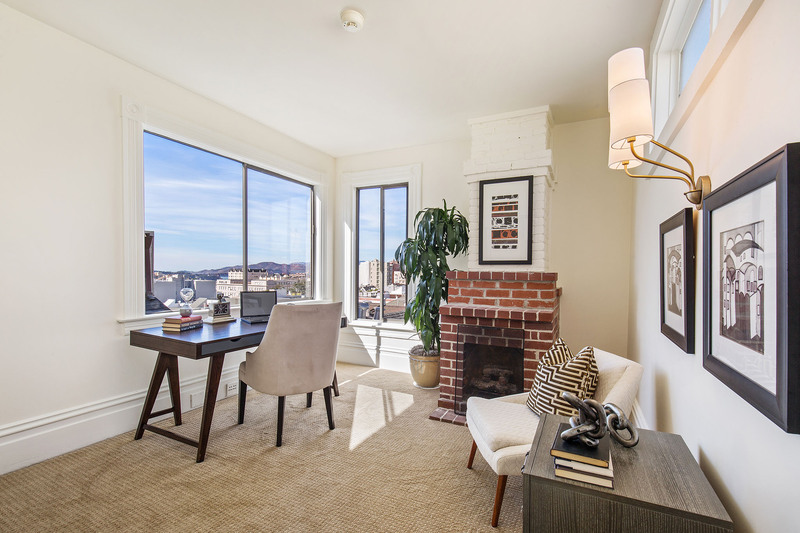 Pacific Heights is a world-class location within a world-class city. 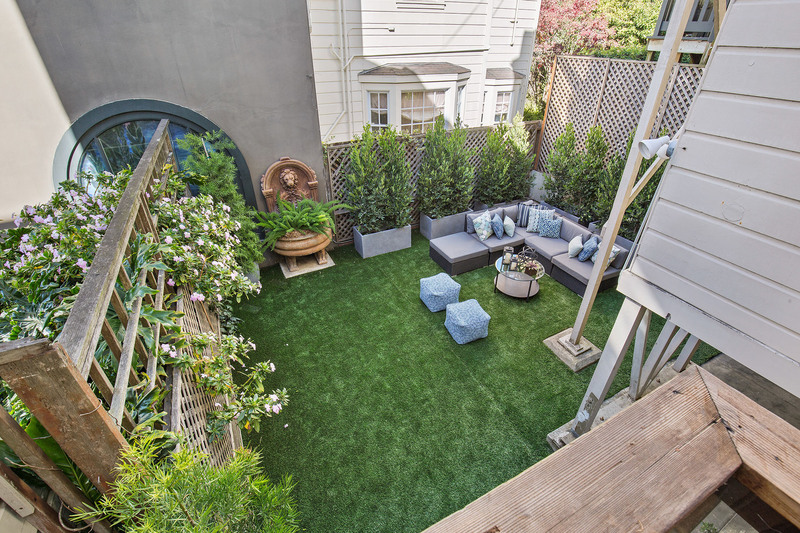 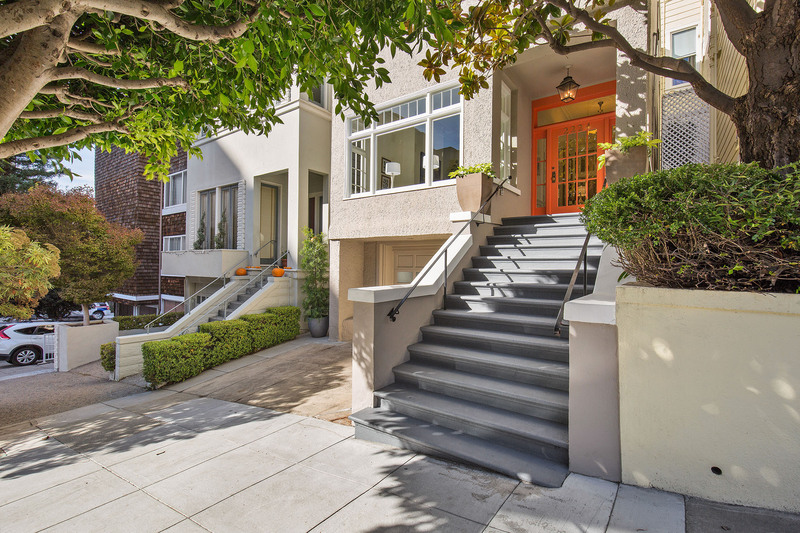 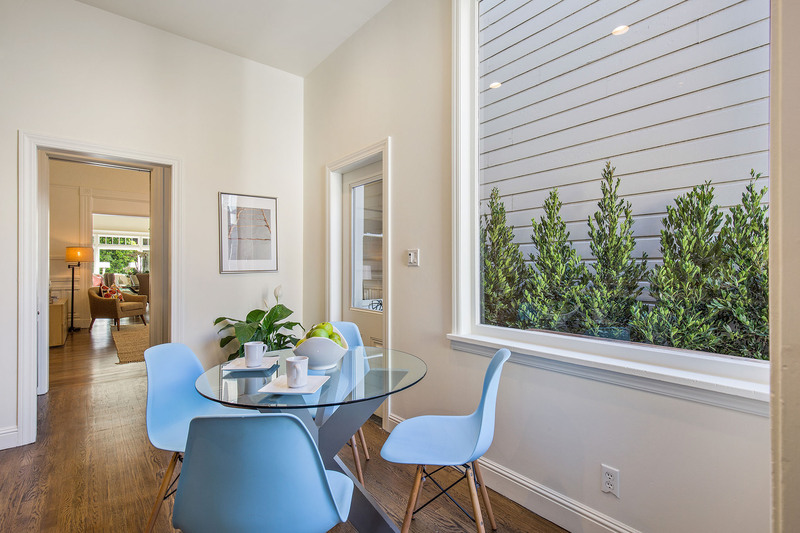 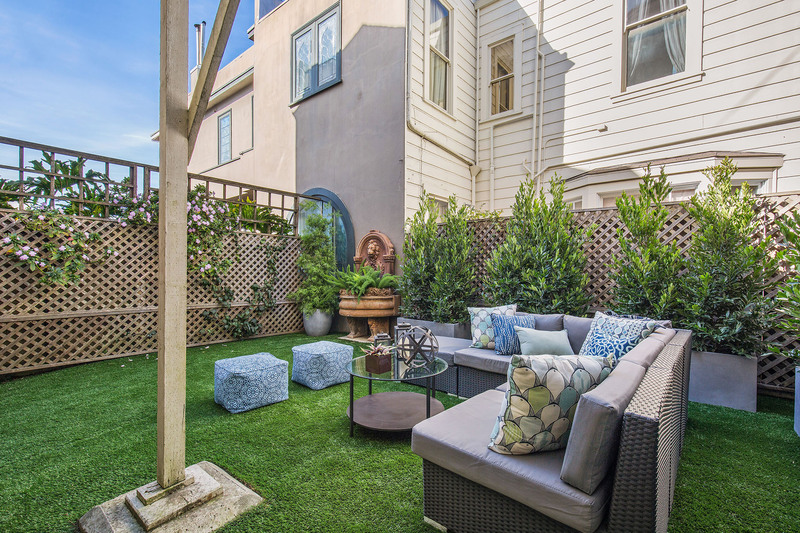 Summary: Prime Pacific Heights location! 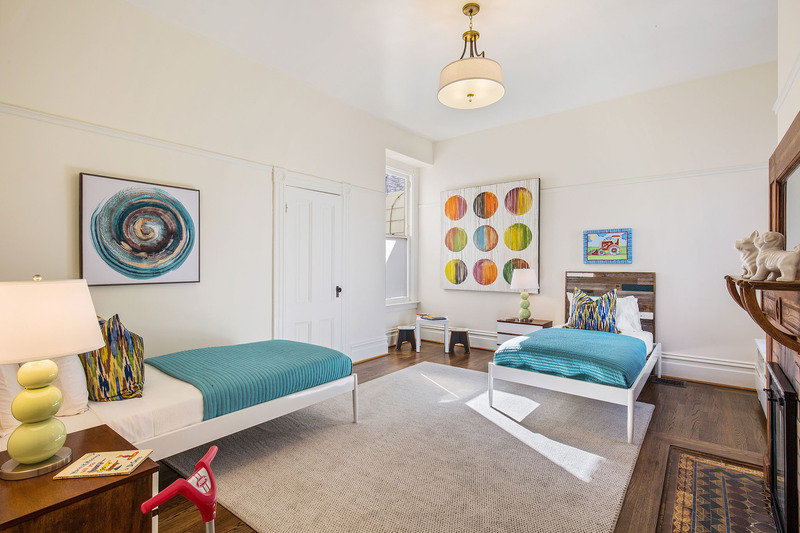 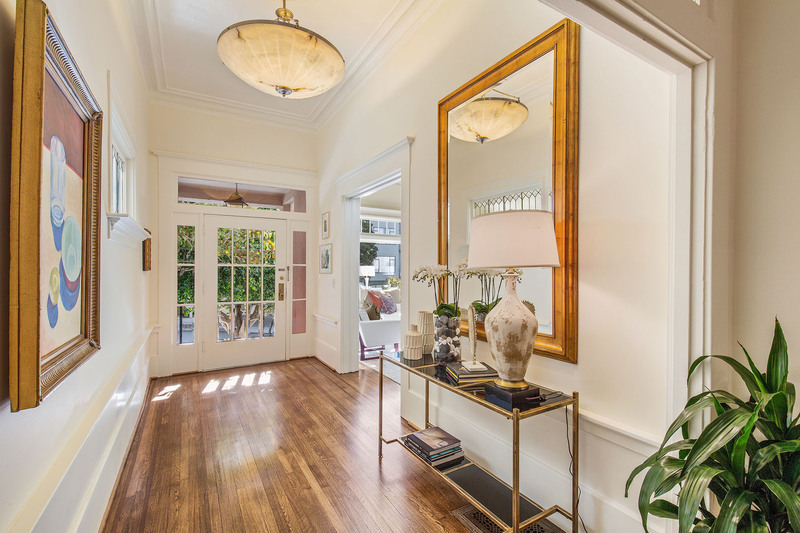 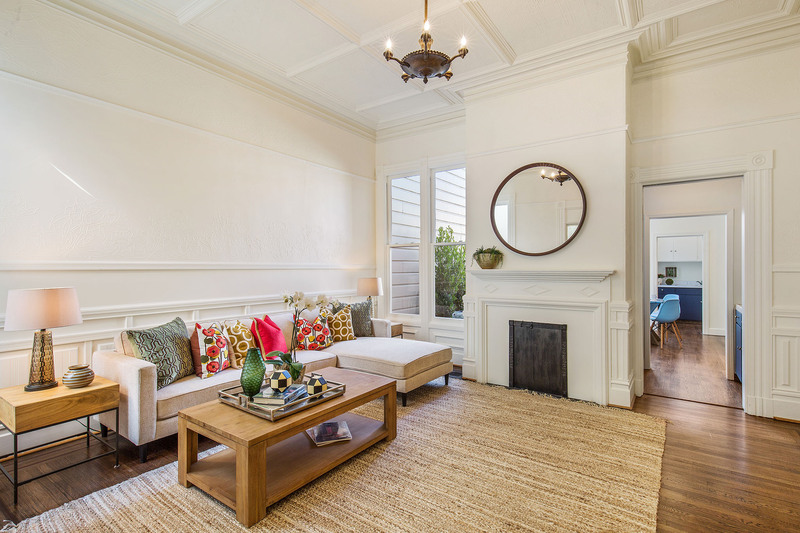 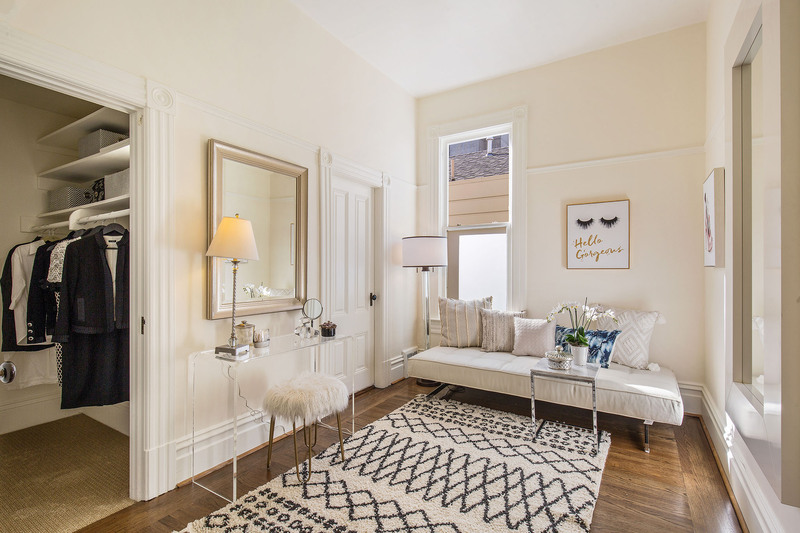 This classic c.1885 Victorian home boasts an enviable location one half block from LaFayette Park and 2 blocks to popular Fillmore St. boutiques and cafés. 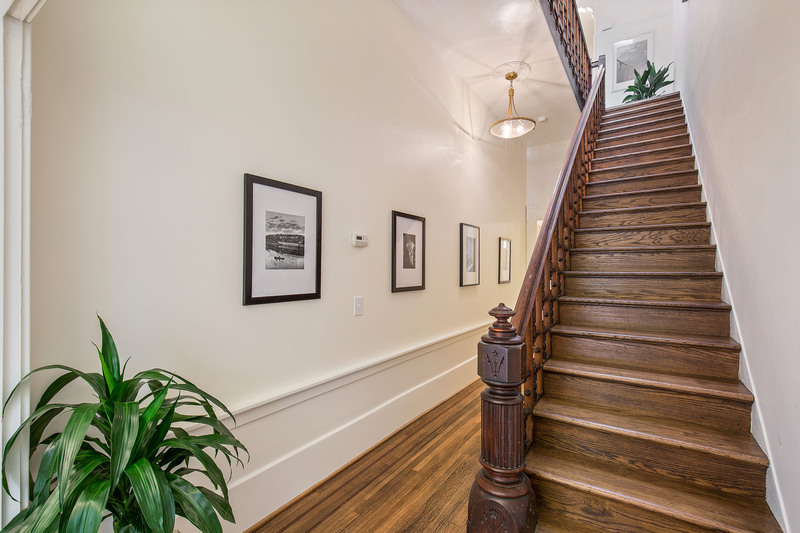 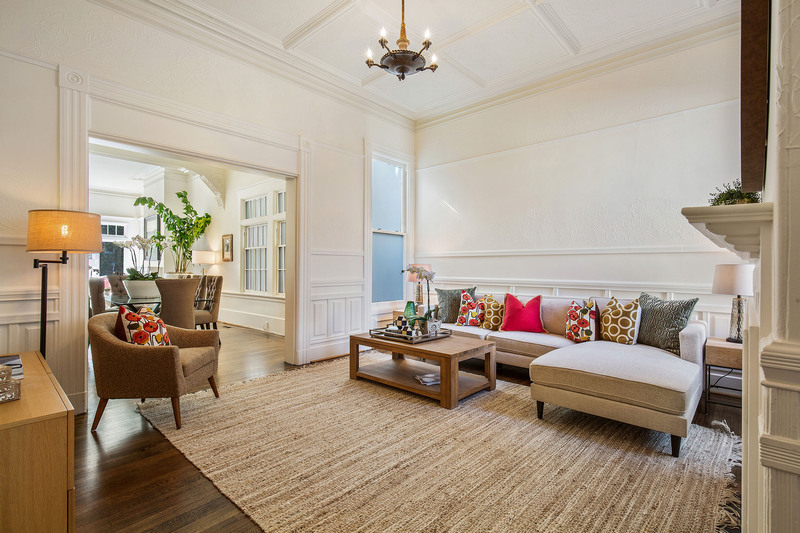 A 90 Walk Score® makes it “A Walker’s Paradise – Daily errands do not require a car.” This light-filled, 5BD/2.5BA Victorian has soaring ceilings, rich hardwood floors, and exquisite architectural details beautifully preserved. 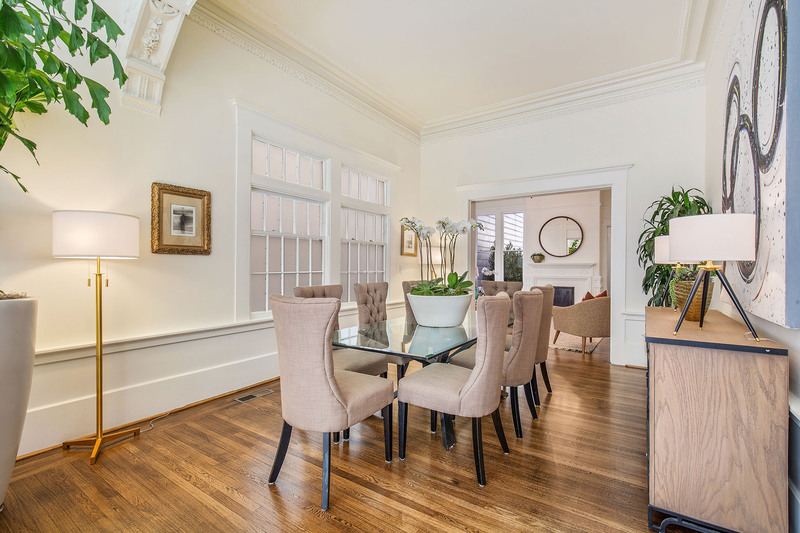 The triple parlor living-dining-family room may be used flexibly. 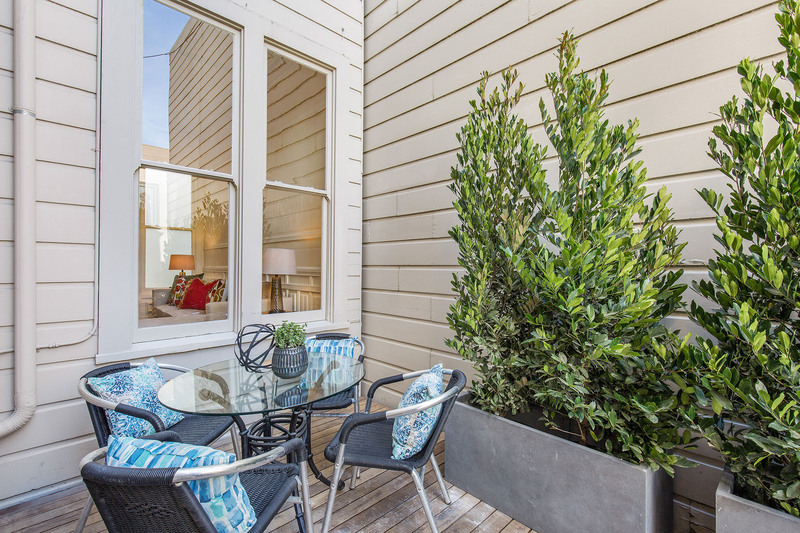 The eat-in chef’s kitchen opens to the deck overlooking the garden. 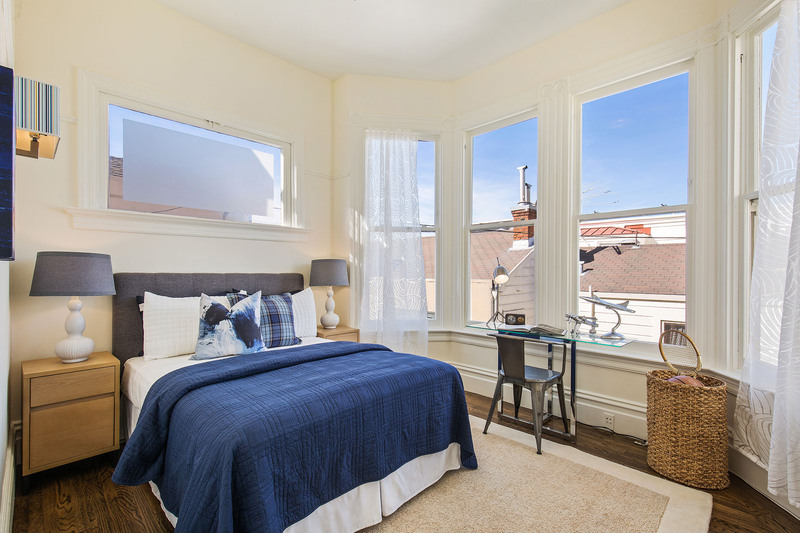 There are 4-5 bedrooms on the second level plus a Golden Gate view pent room. 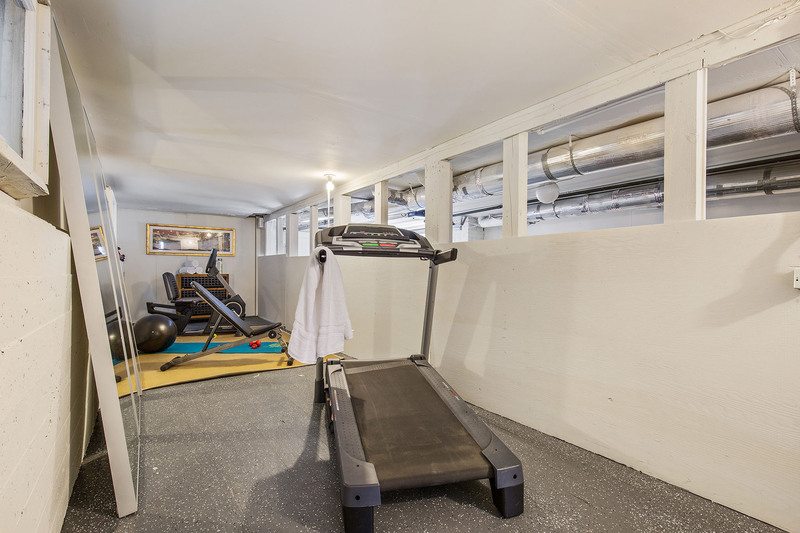 A full basement provides expansion potential and parking for 2 cars in tandem with interior access. 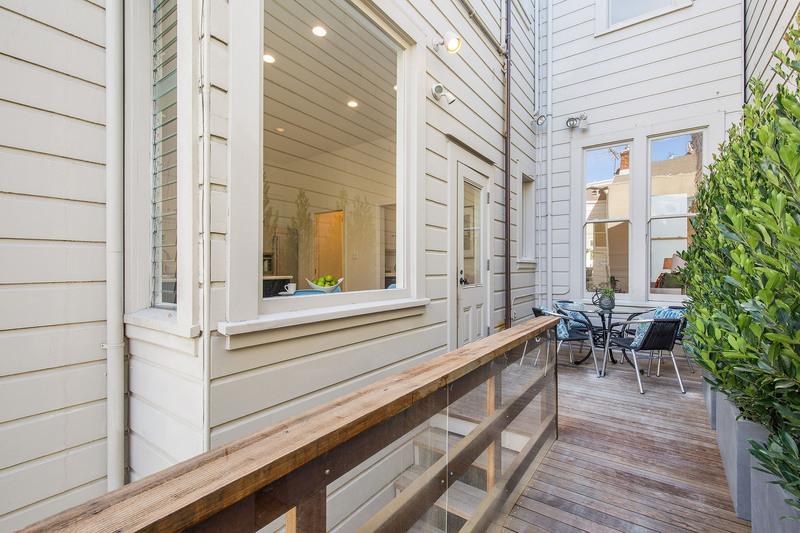 One additional parking in front of the garage door. 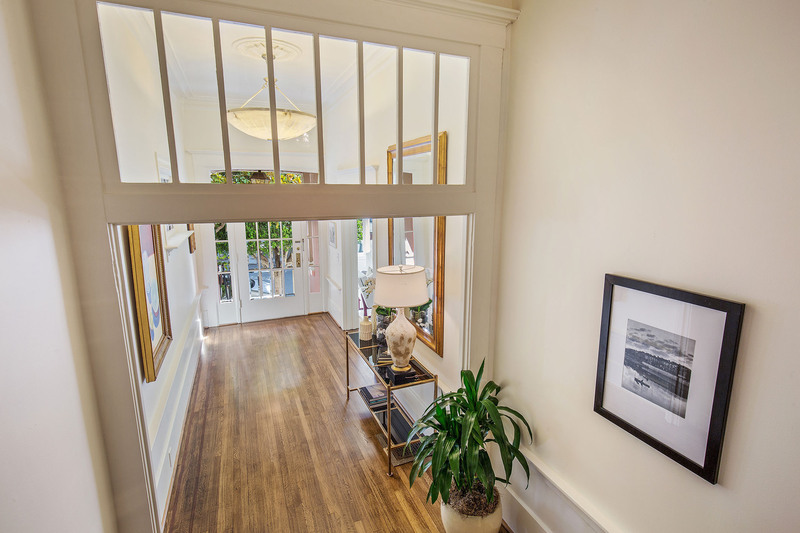 Description: A graceful flight of stairs from the sidewalk’s edge leads to the entry portico. 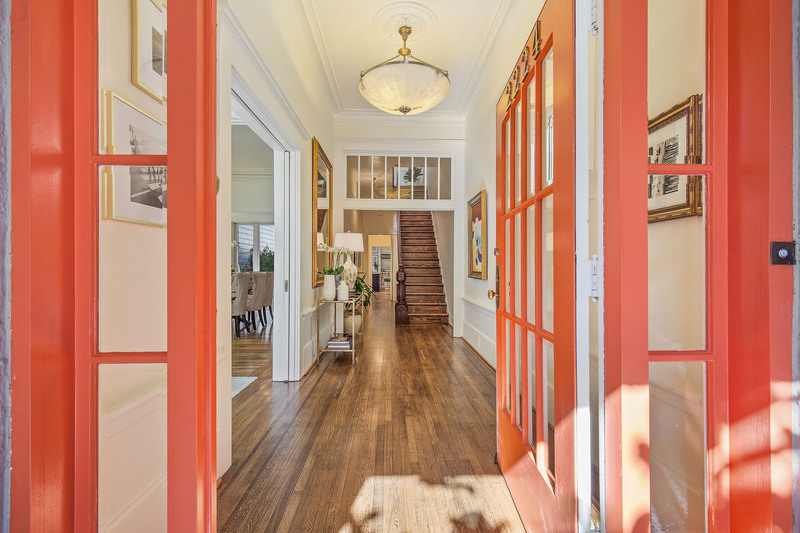 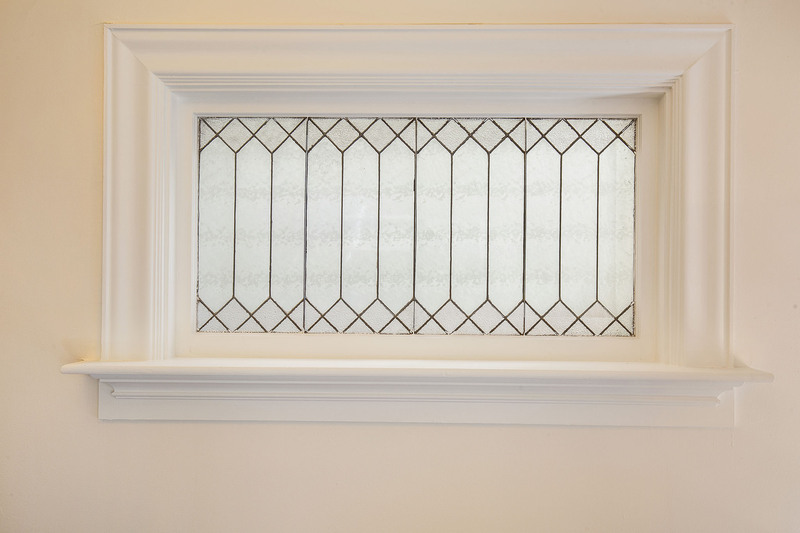 Enter to the foyer accented with a leaded glass window and a glimpse of the gorgeous stair hall and decorative bannister. 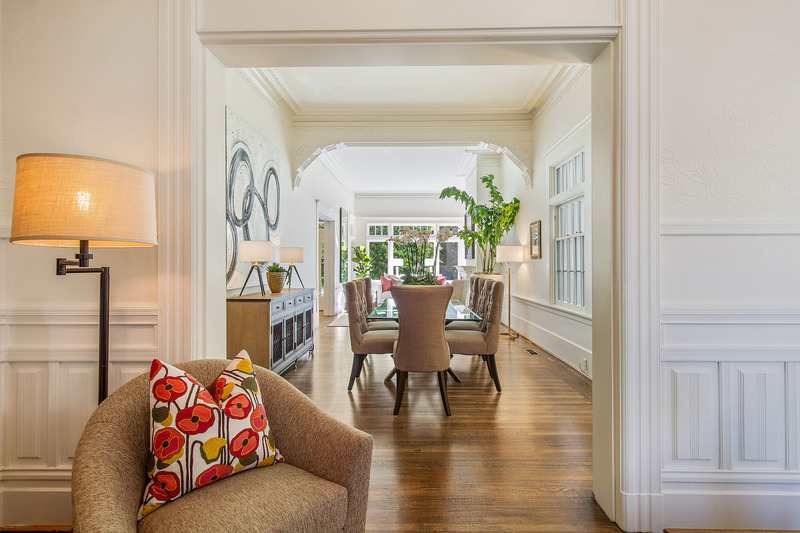 An arch opens to the triple parlor which provides flexible uses. 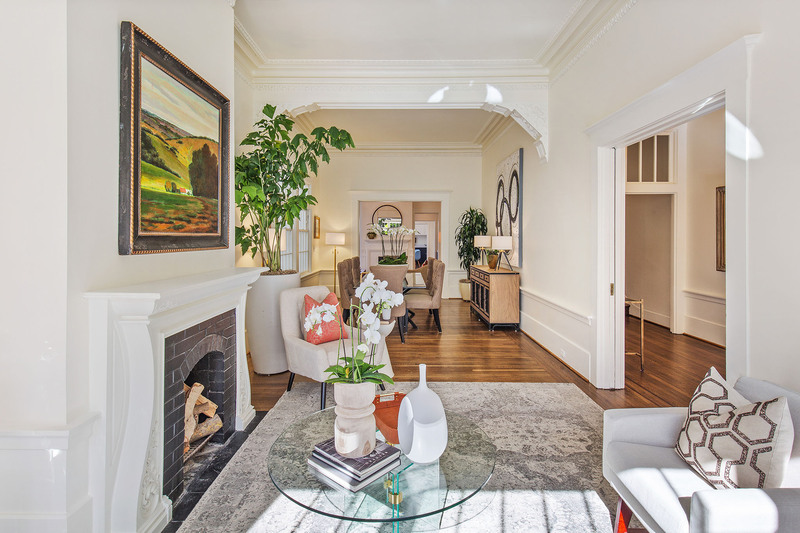 It is shown today as a double parlor living/dining room accented by a marble-faced fireplace with a lovely carved mantel. 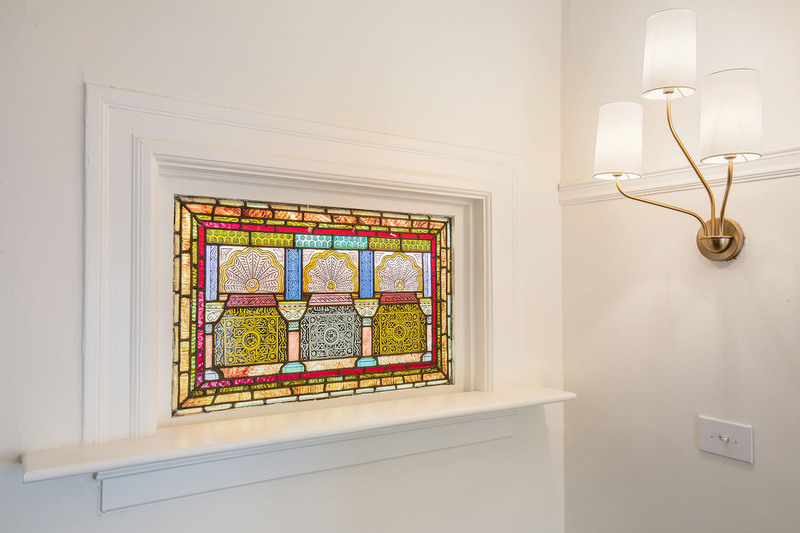 A squared bay window provides sunny southern exposure. 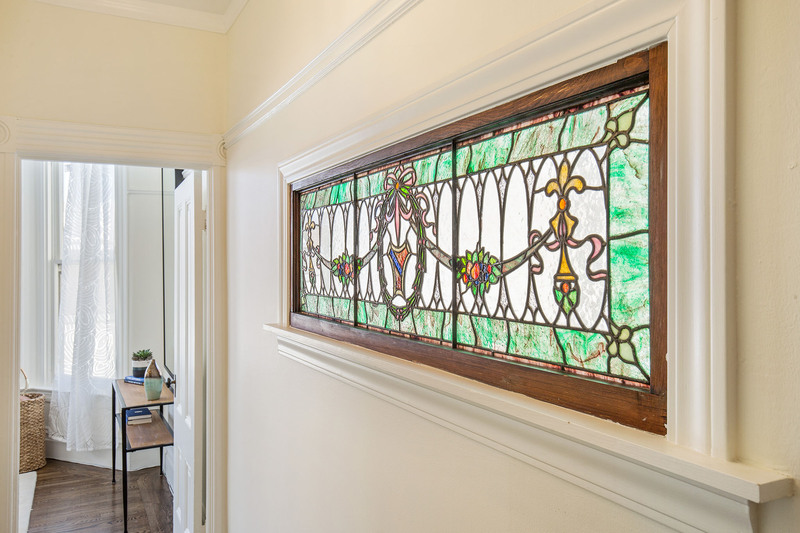 The third parlor makes a cheery family room and showcases exquisite decorative-wall tracery, a focal fireplace, and a tall window (may be converted to a door) with verdant views of the deck. 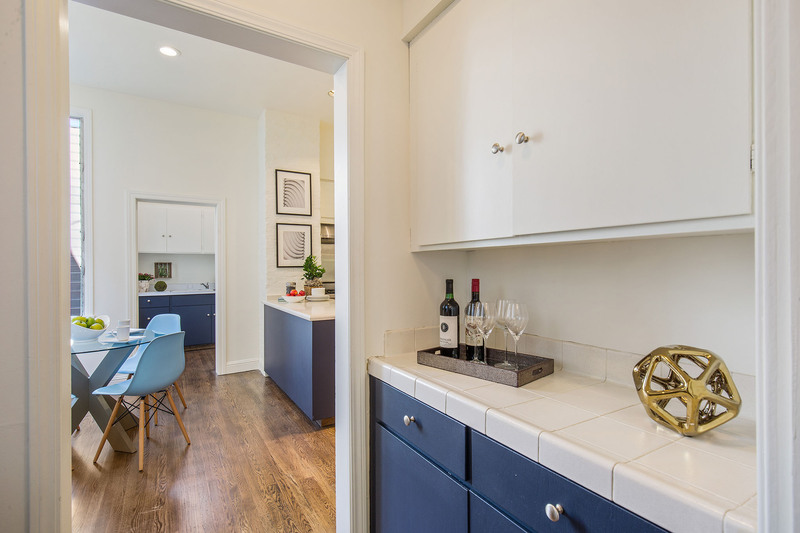 A convenient butler’s pantry links the family room to the adjacent, eat-in kitchen which opens to the deck and garden – great for al fresco dining and entertaining. 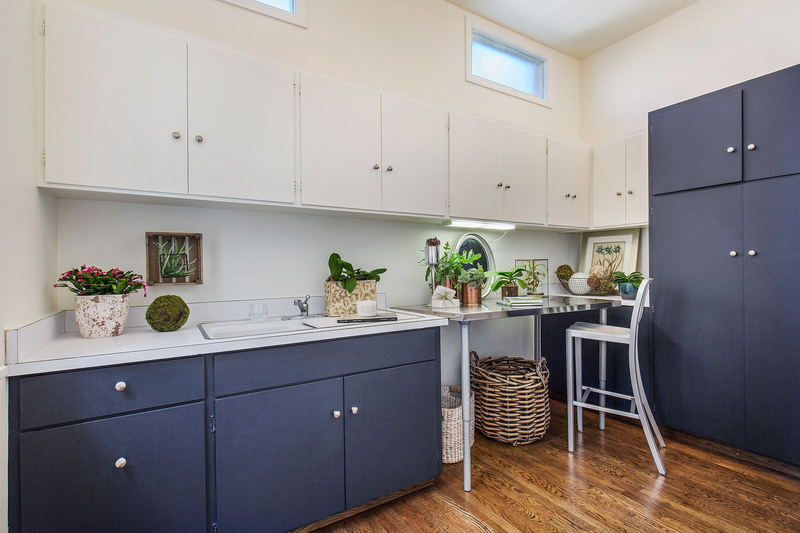 A large pantry behind the kitchen is shown as a potting room and is equipped with a stainless sink and hookups for a washer/dryer. 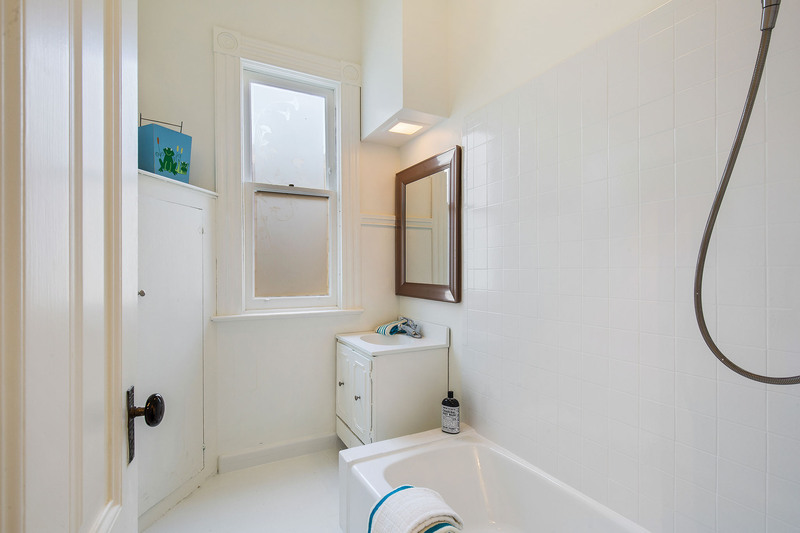 Completing this level is a powder room discreetly tucked off the central hall. 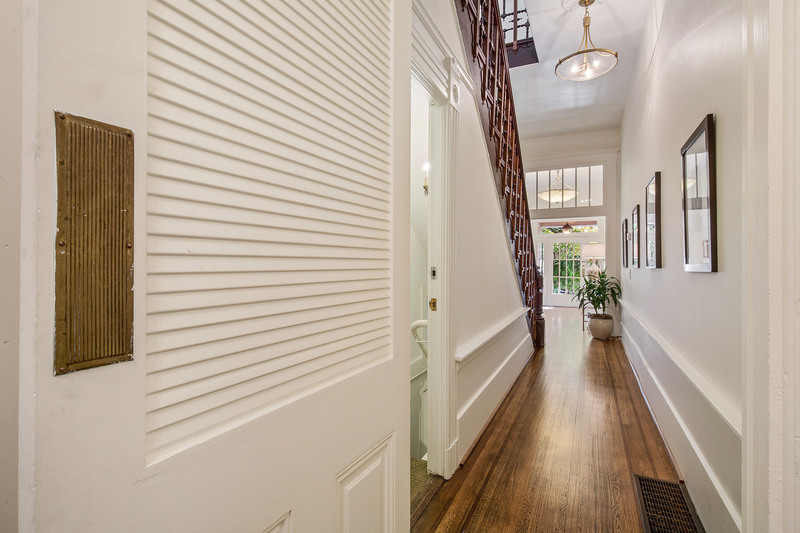 An intricately carved bannister borders the staircase to the second level which consists of 5 rooms and two baths. 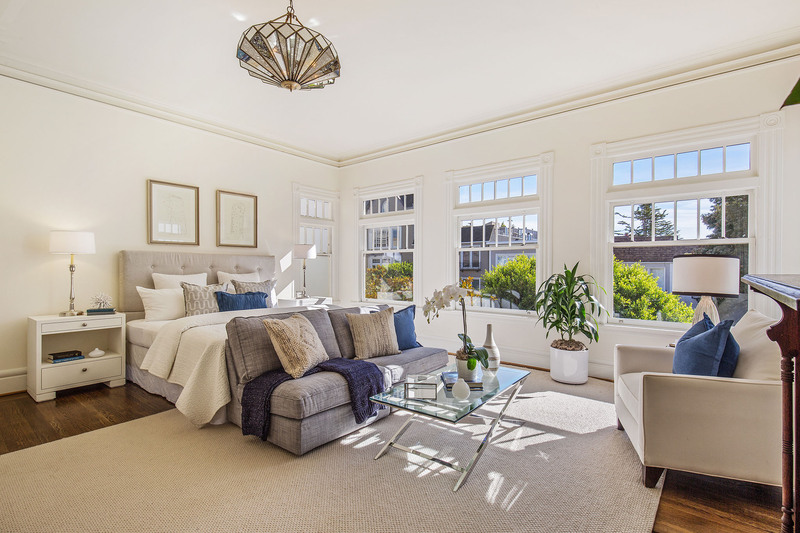 The grand-scaled, master bedroom enjoys sunny, southern exposure through a virtual wall of windows and features a charming, period-style fireplace. 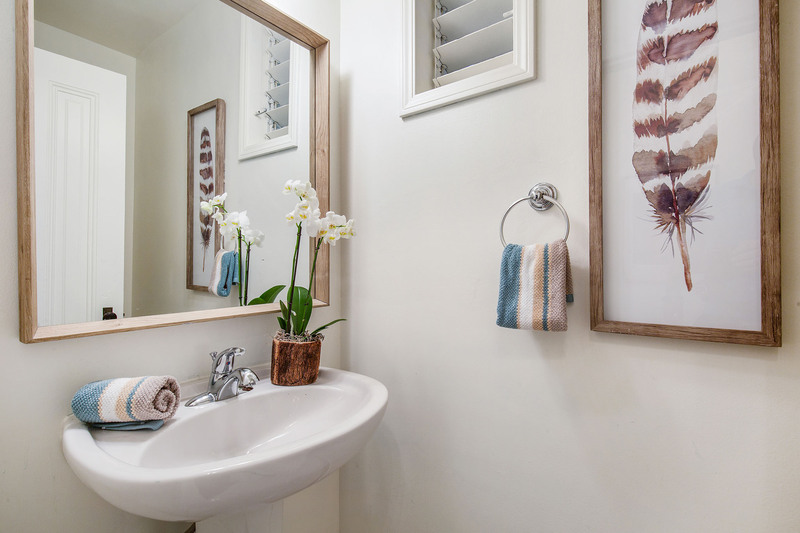 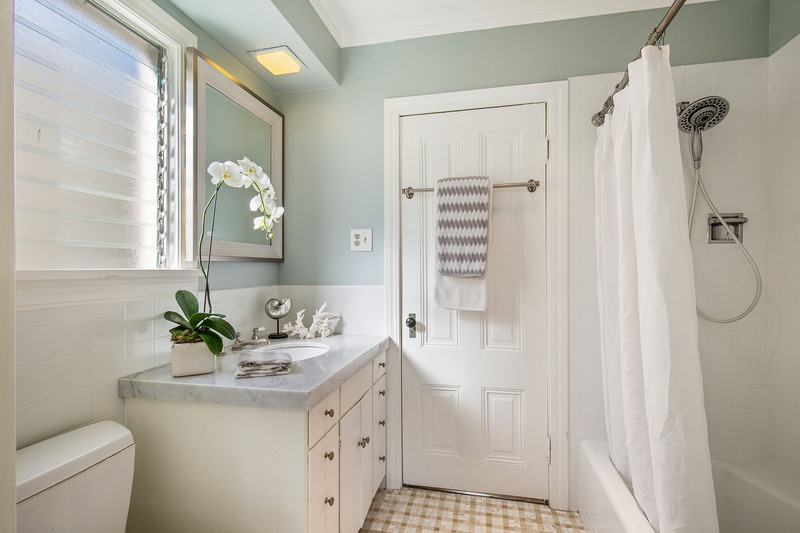 The master opens to an ensuite bath that may be expanded into the adjacent bedroom/dressing room. 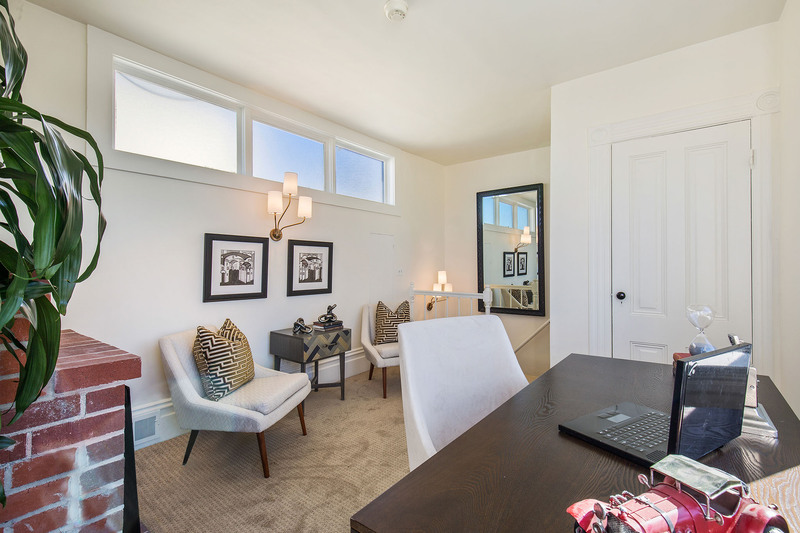 Off the hall are three more large bedrooms (one with a fireplace) and a split bath. 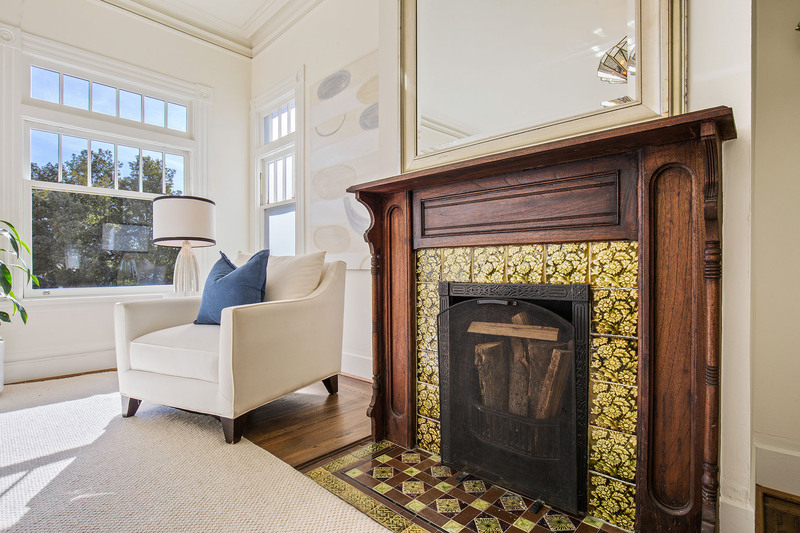 Upstairs, there is a sunny pent room with a brick-faced fireplace and Golden Gate views. 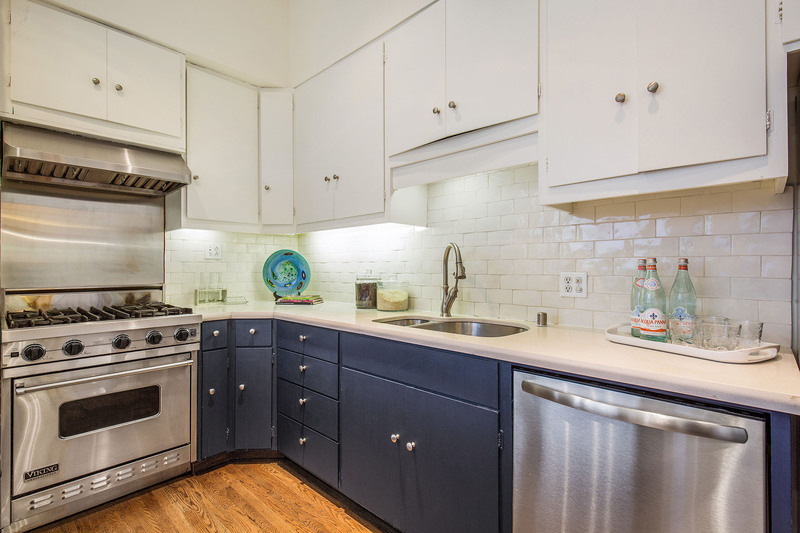 A full basement with tremendous storage and expansion potential and two car-tandem garage has interior access. 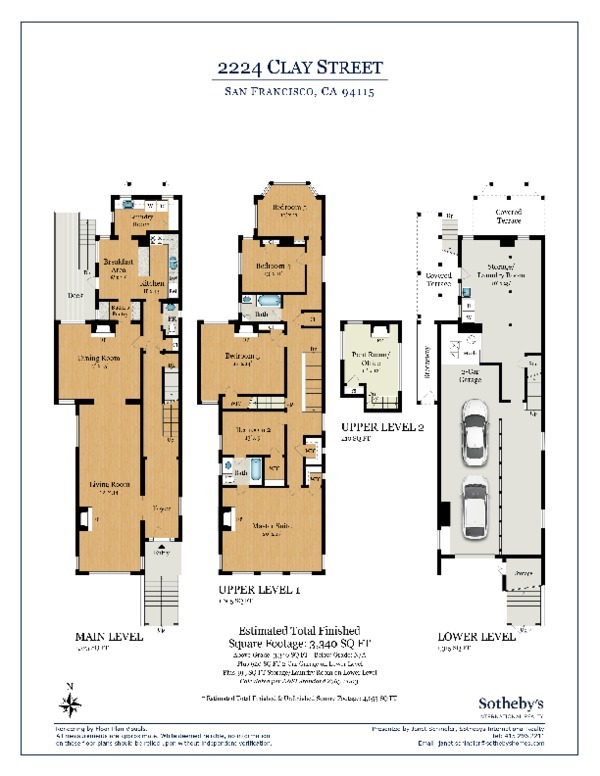 A third car may be parked in the driveway in front of the garage door. 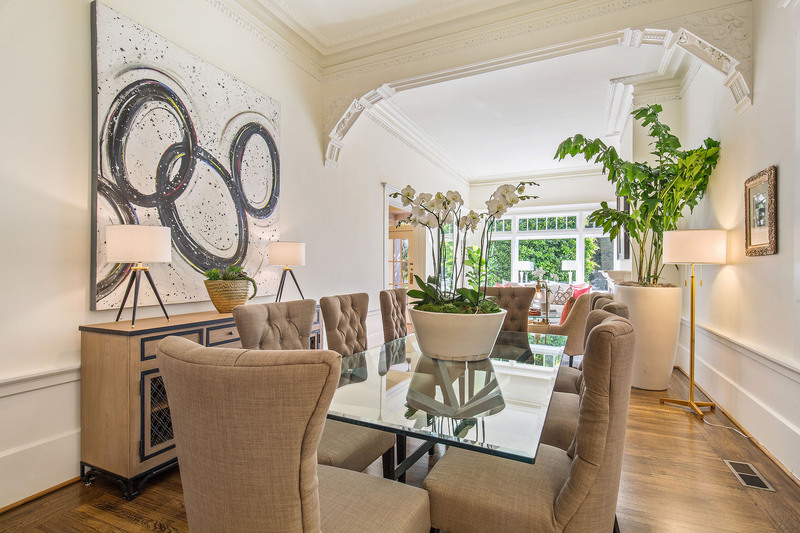 Janet Schindler's extraordinary success in real estate sales derives from her fundamental belief: the client is #1. 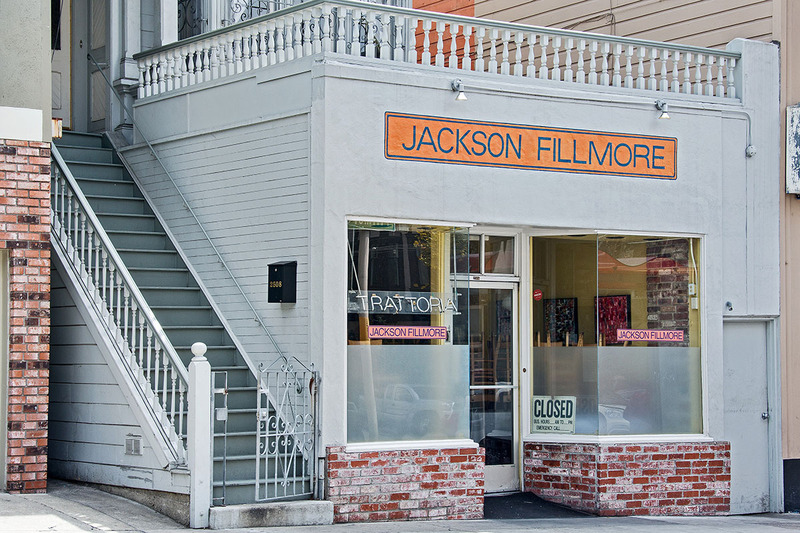 For the past 30 years, Janet has taken this approach in her full-time career and it shows. 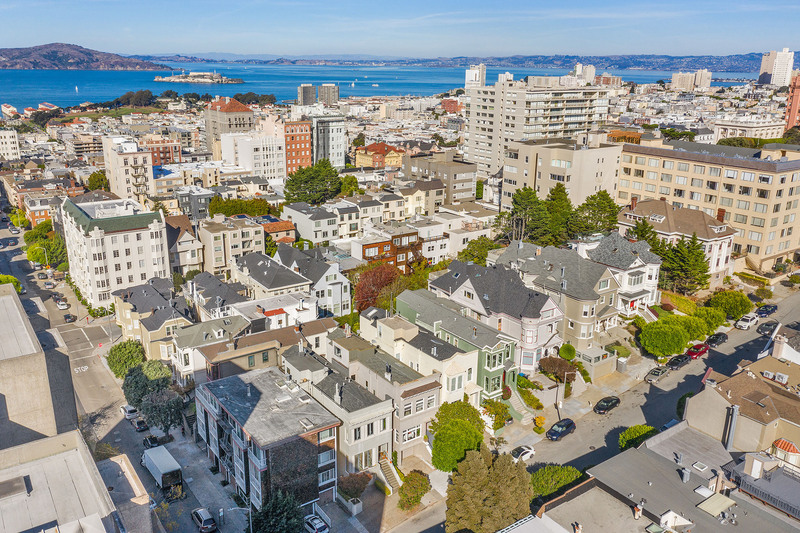 According to the MLS, Janet is ranked the #1 Individual Realtor for homes sold in District 7 - Pacific Heights, Presidio Heights, Marina, and Cow Hollow - since 2011. 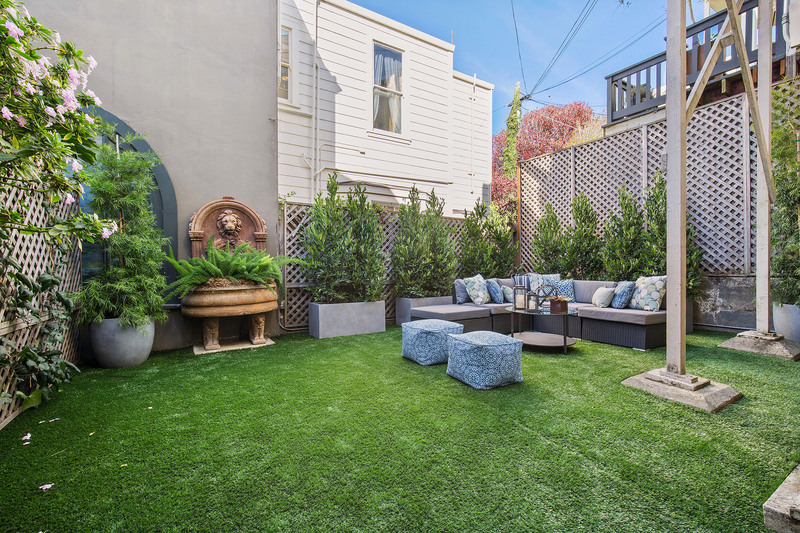 In 2015, she ranked the #1 Realtor in San Francisco for all homes sold. 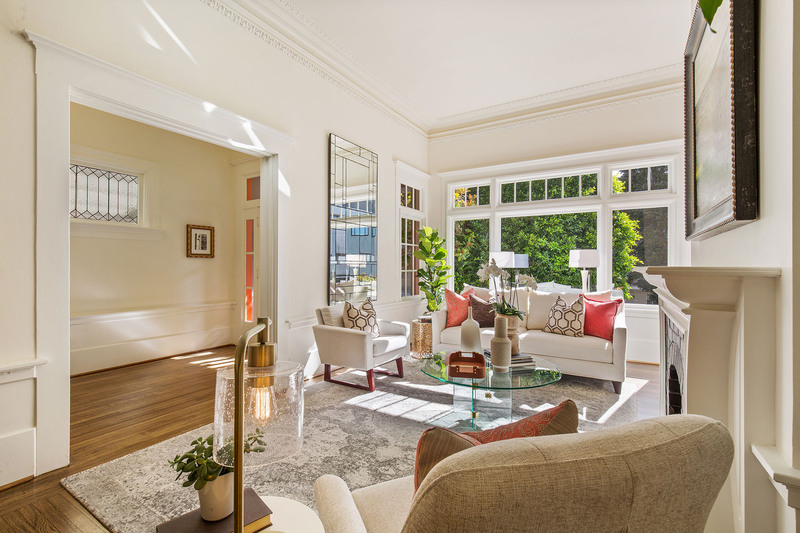 She is consistently one of the top 25 Sotheby's International Realty Realtors nationwide and is regularly named on the prestigious Wall Street Journal's list of the Top Realtors in the USA. 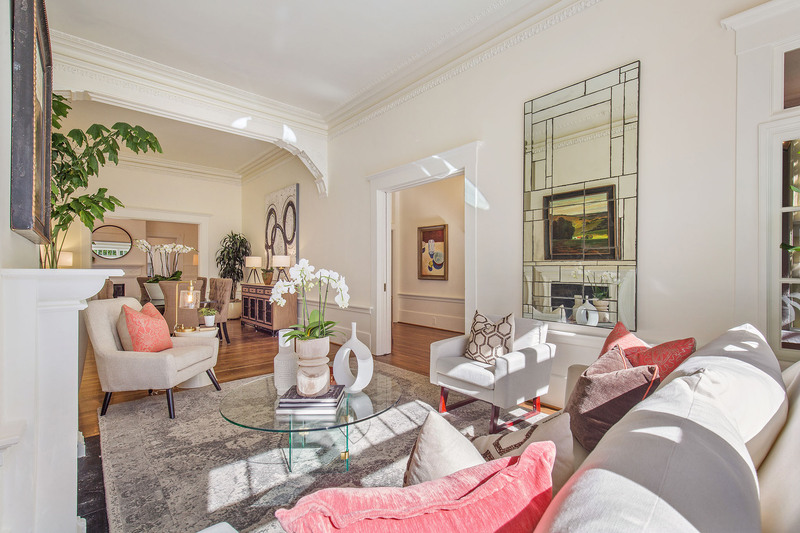 When Haute Living published a list of the Bay Area's Top 8 Real Estate Power Brokers, Janet was one of them, dubbed "The Professional," a title that truly characterizes her approach to her career and her relationship to her clients. 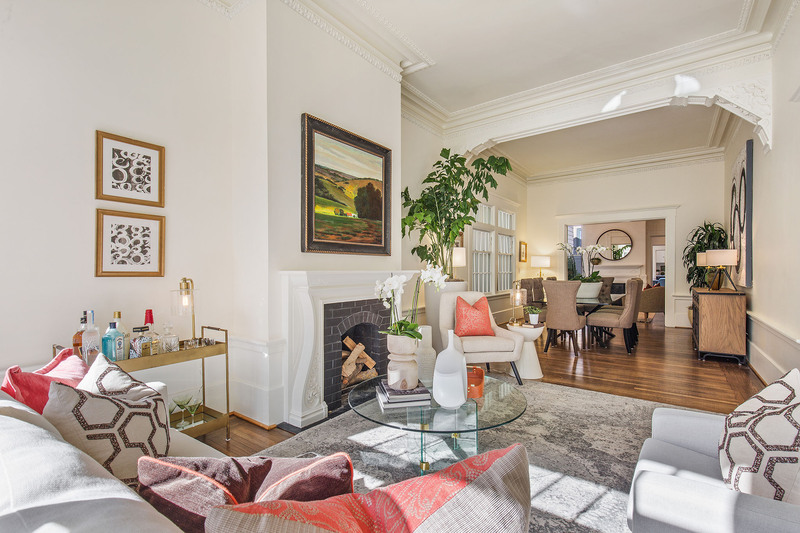 Pacific Heights is renowned as one of San Francisco’s premier neighborhoods. 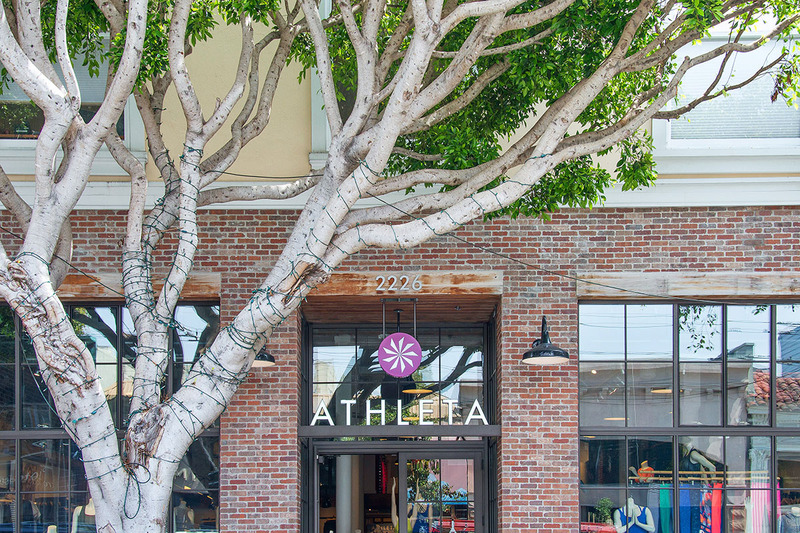 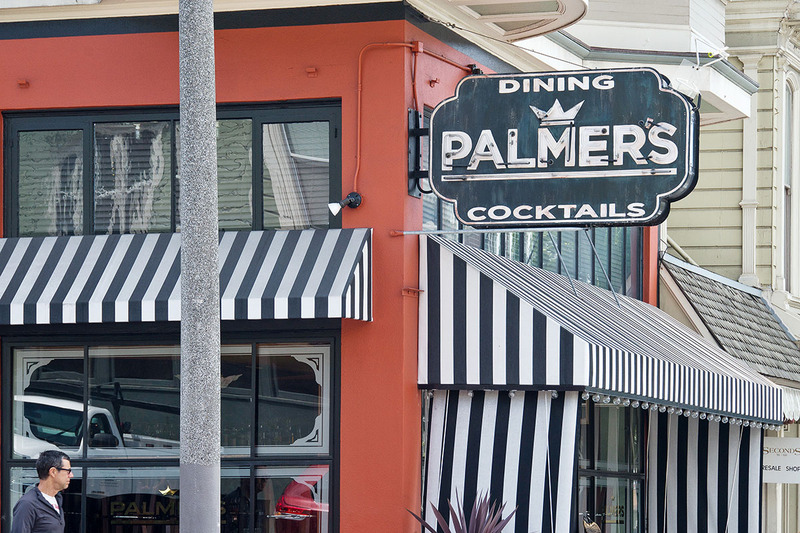 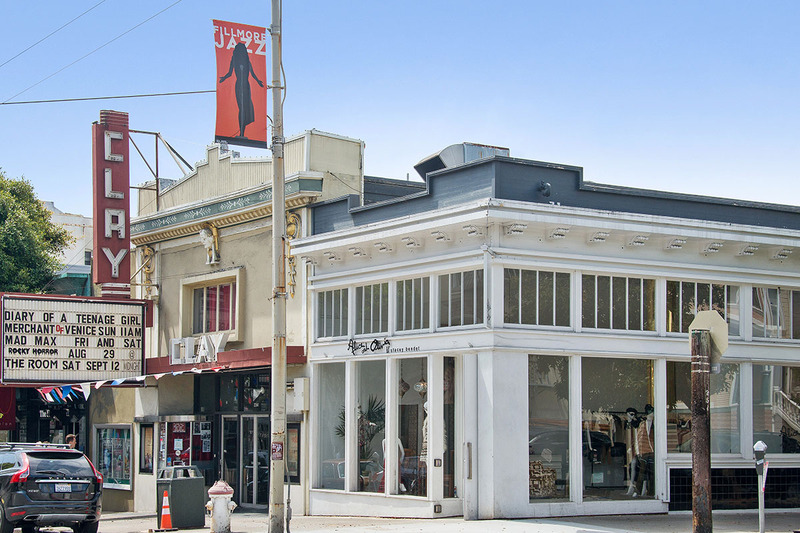 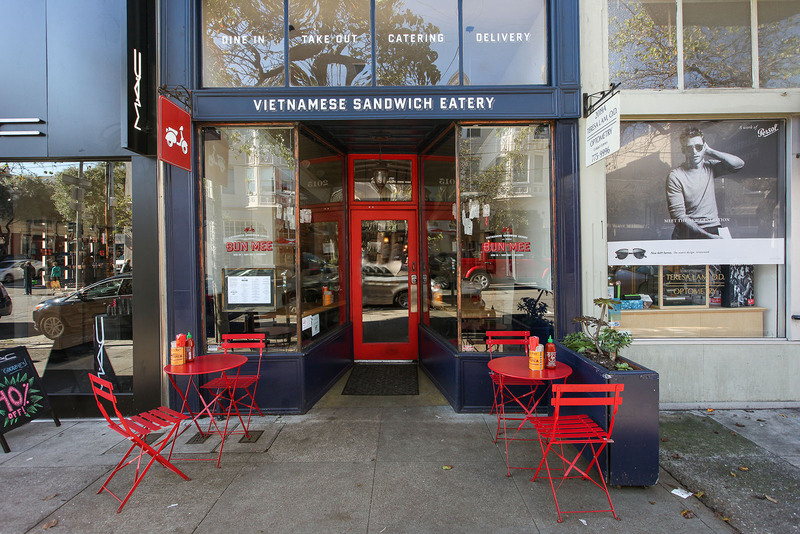 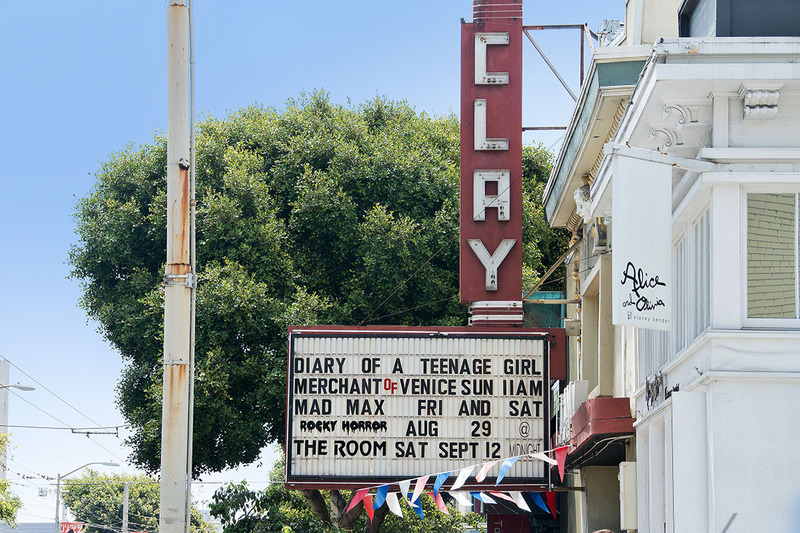 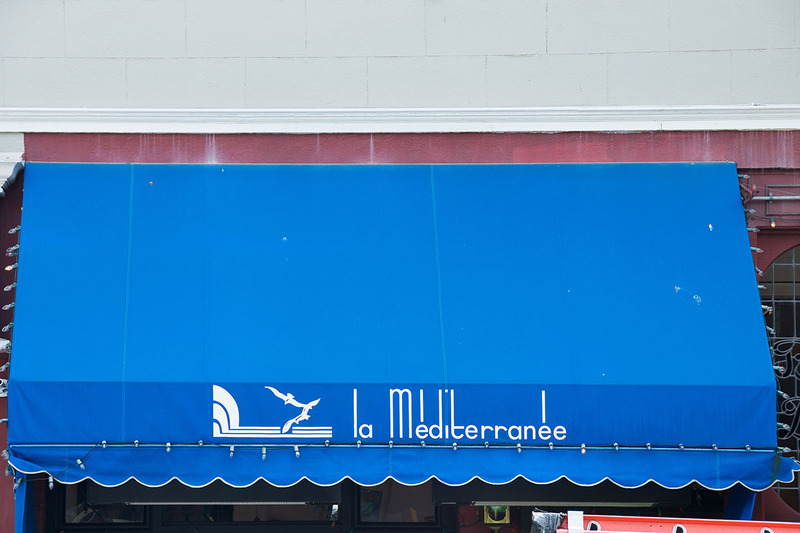 The 2200 block of Clay is perfectly positioned one half block from LaFayette Park and two blocks from the boutiques, restaurants and cafes on popular Fillmore Street. 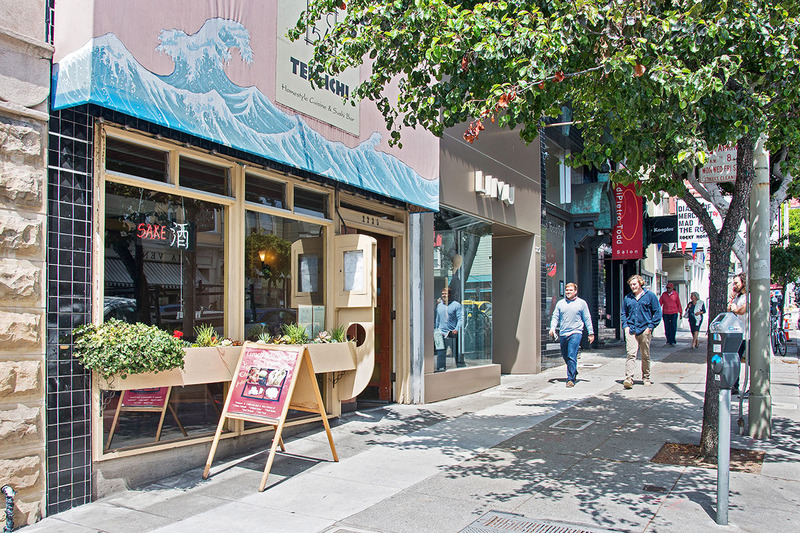 To the north, there is Union Street with its delightful mix of boutiques and restaurants. 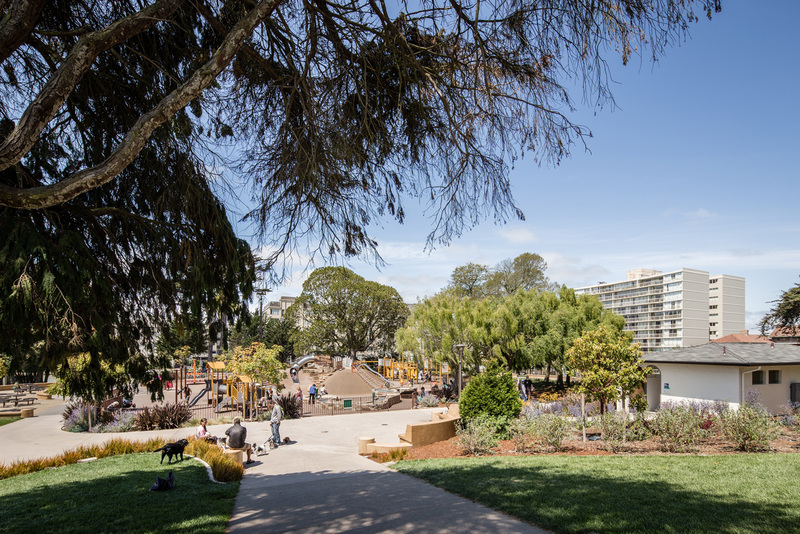 The bucolic 11.49 acre La Fayette Park recently underwent a major renovation complete with tennis courts and a playground. 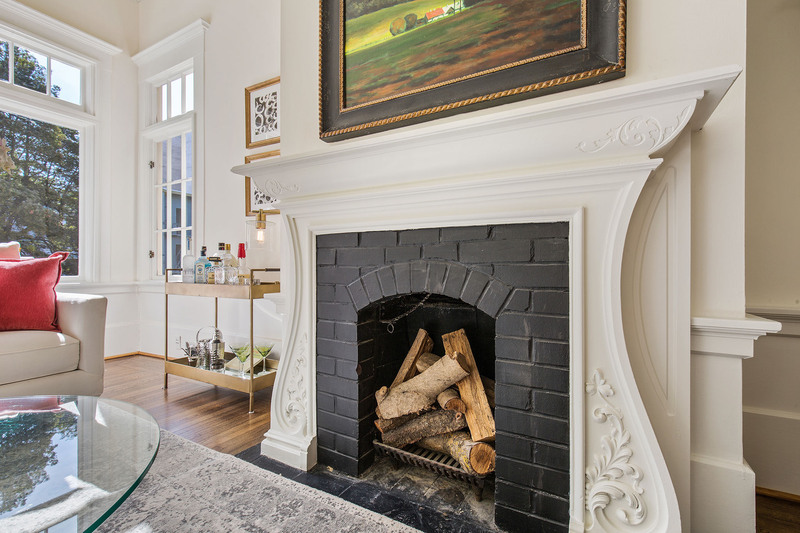 Many of the area’s best private schools are within a mile. 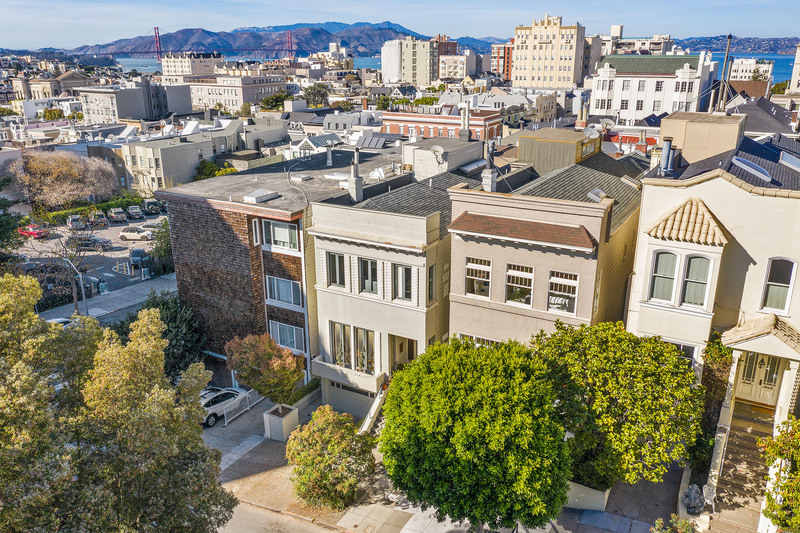 Pacific Heights is considered one of the most scenic locations in the world. 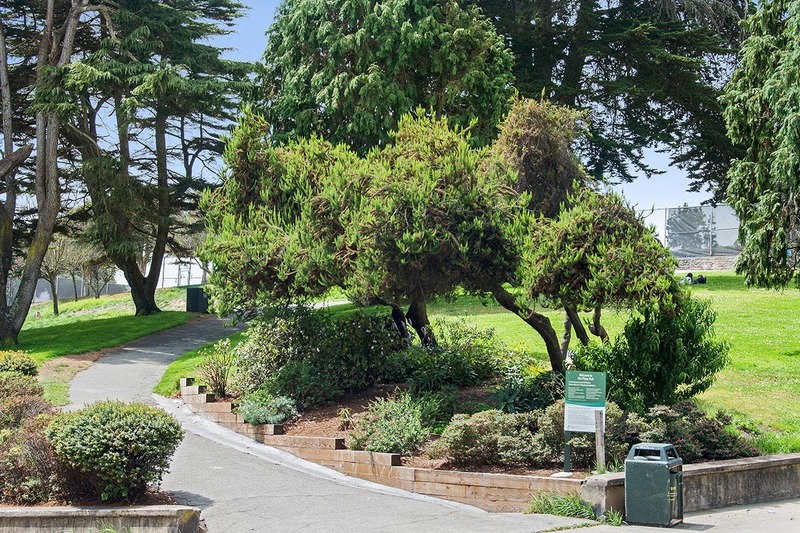 It is bordered to the west by a mature forest of pine, cypress and eucalyptus trees which the army began planting in the Presidio in the 1880’s. 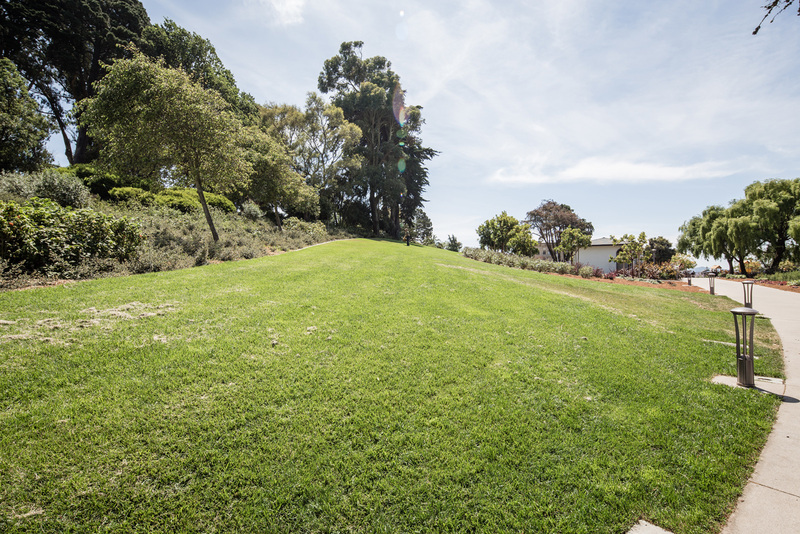 To the north is Crissy Field, originally a rich salt marsh at the bay’s edge and now a wildlife sanctuary. 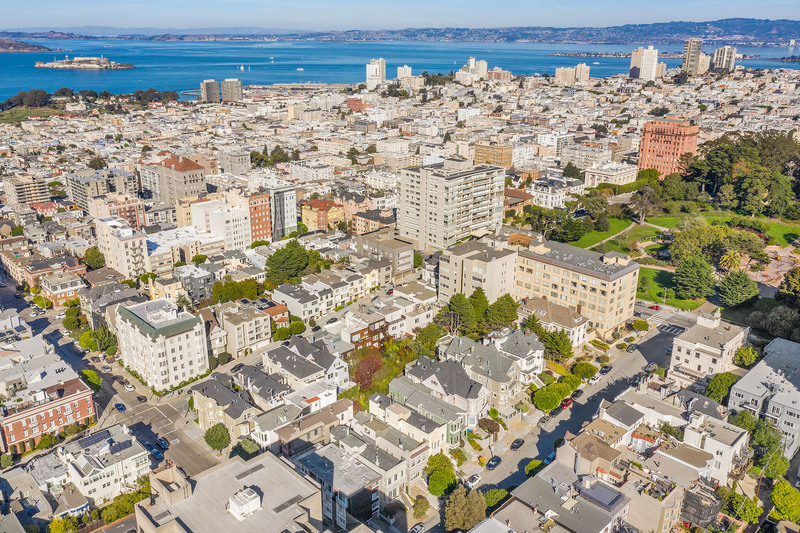 Just beyond is the bay, the Golden Gate Bridge and Marin Headlands. 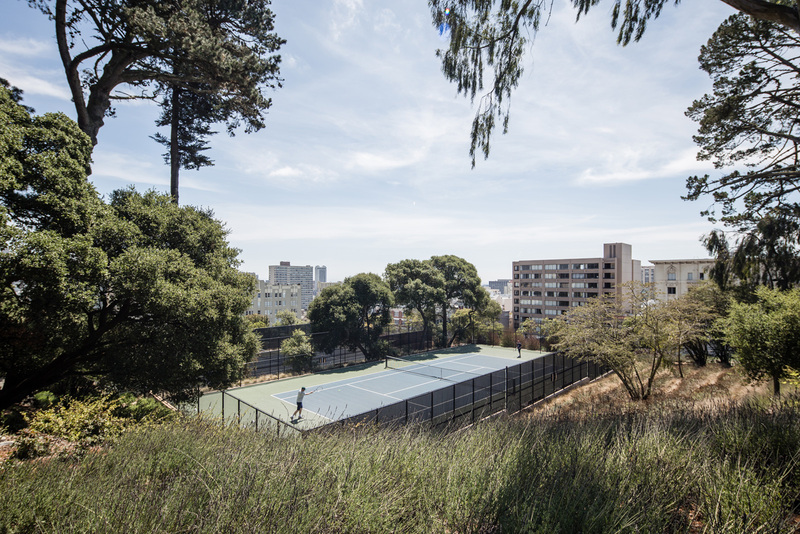 All are protected sites within the Golden Gate National Recreation Area (GGNRA), one of the largest urban national parks in the world and offering a myriad of recreational possibilities from golf and tennis to cycling and swimming. 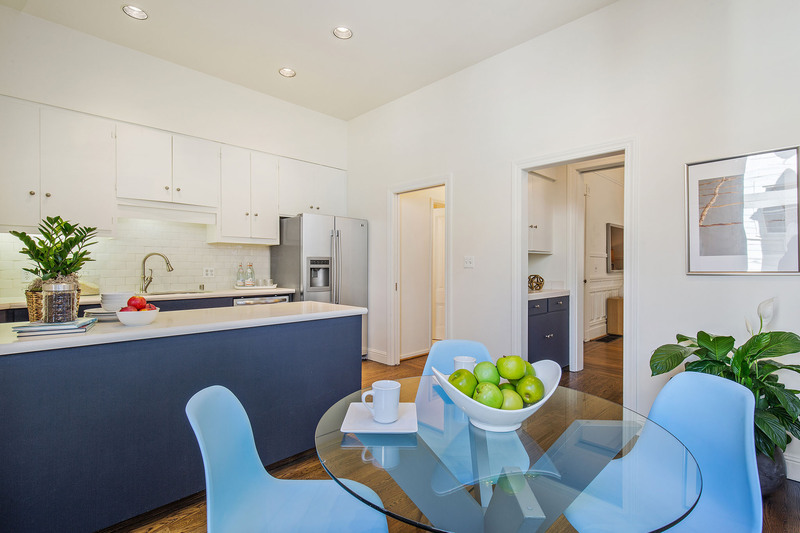 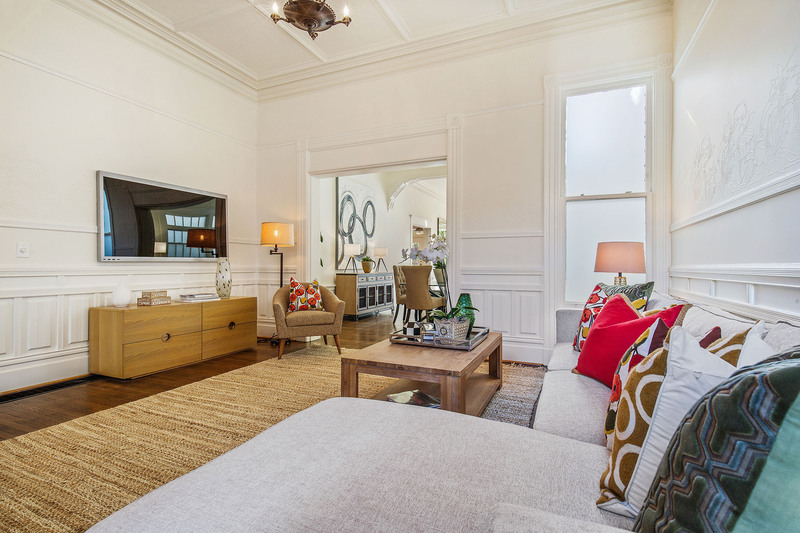 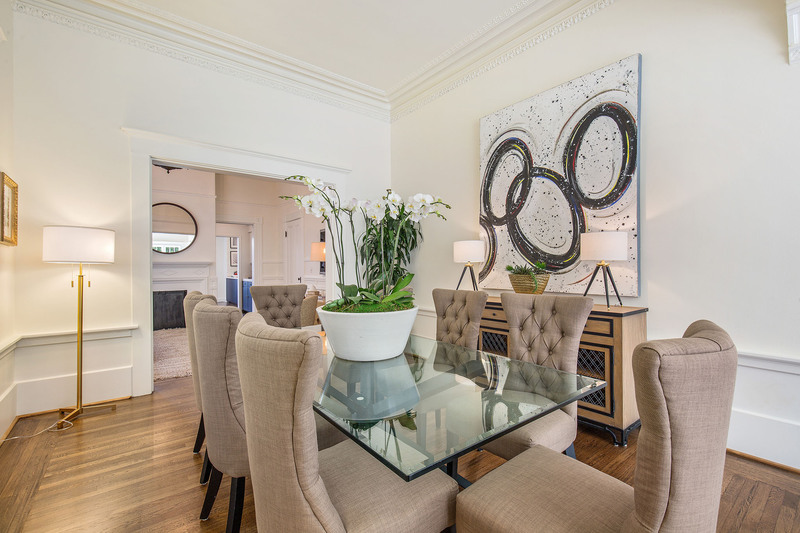 Pacific Heights is a world-class location within a world-class city.